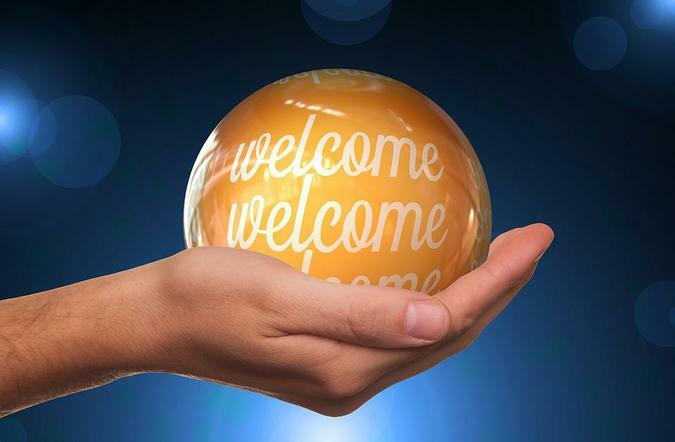 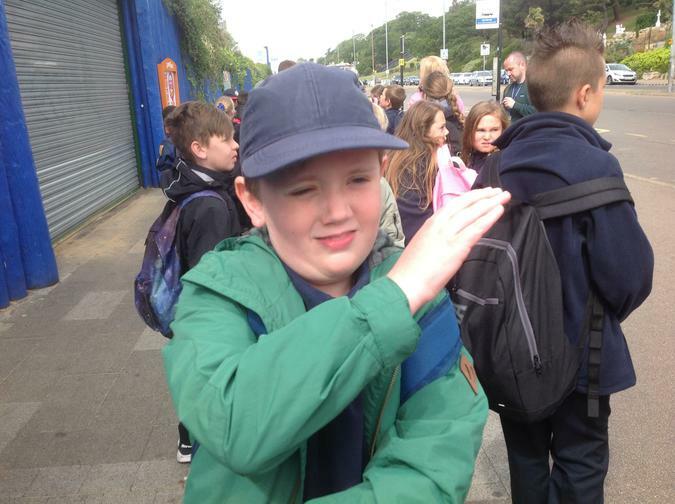 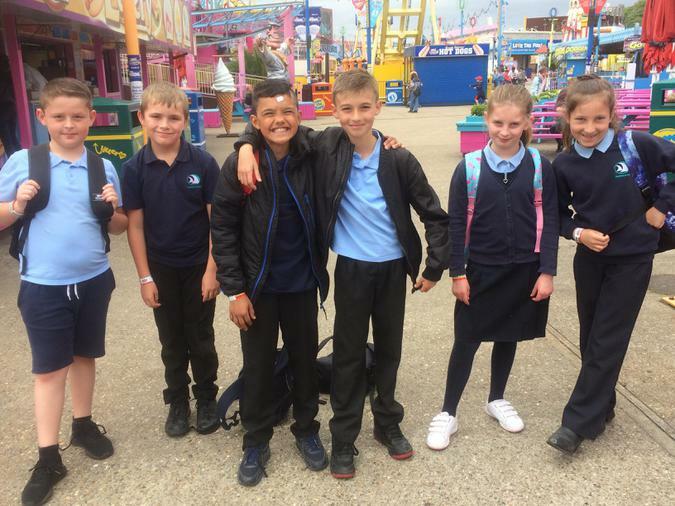 We would like to welcome you to our Year 5 class page. 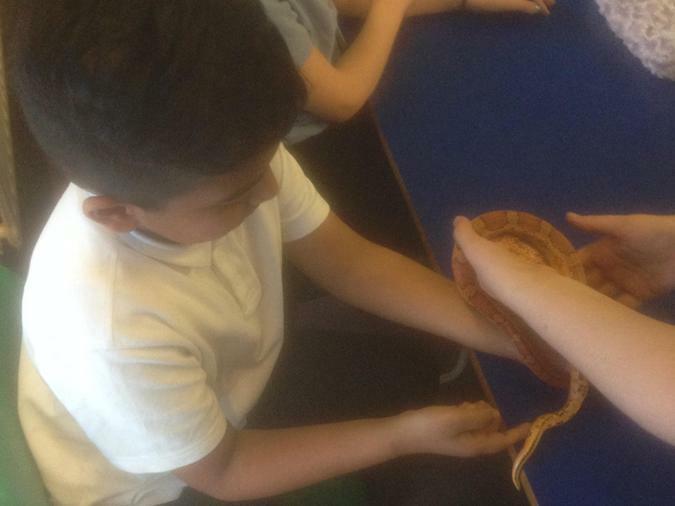 Below you will be able to see what the Year 5s have been up to! 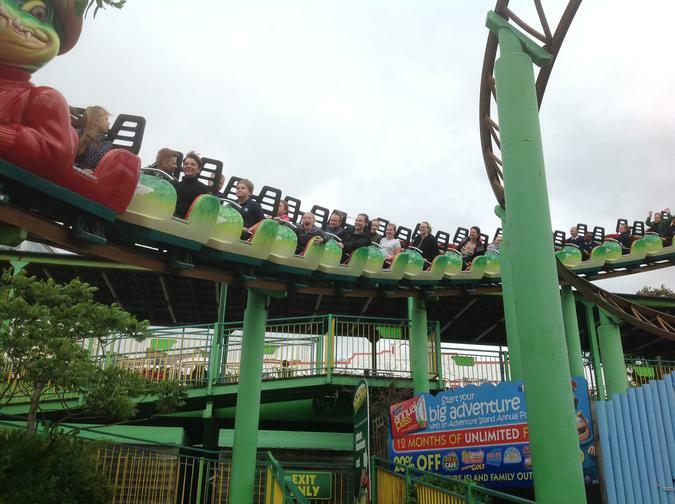 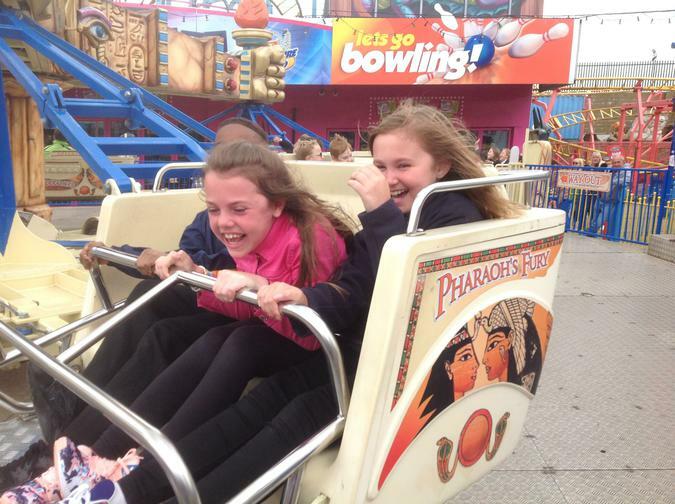 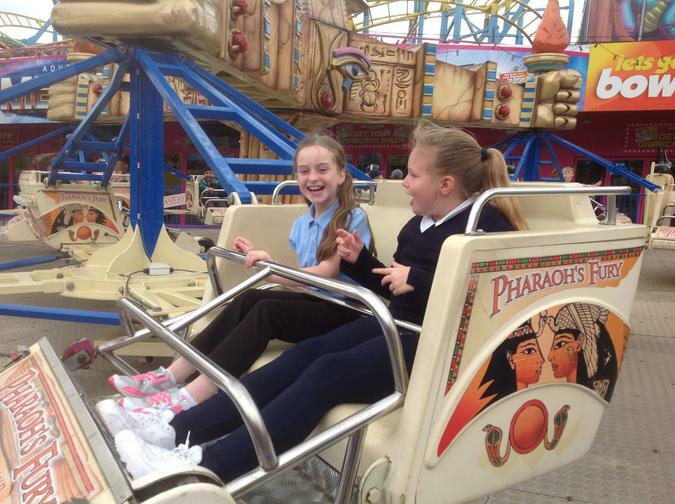 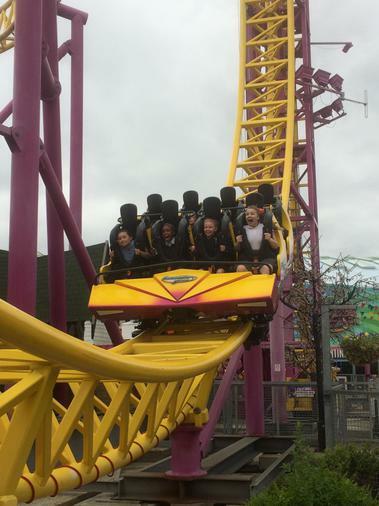 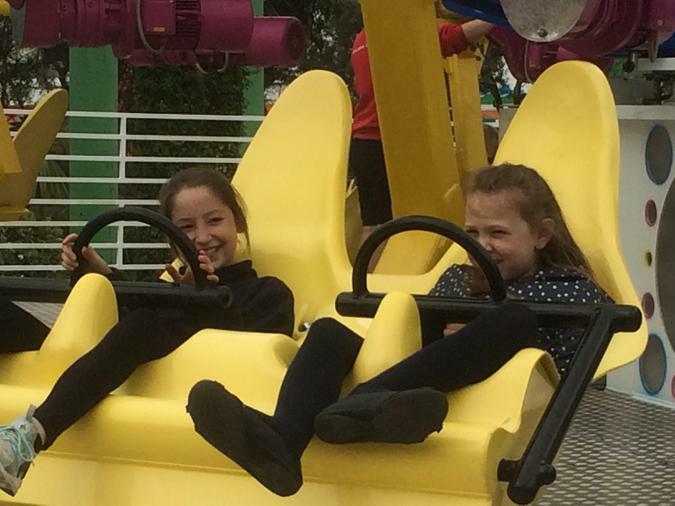 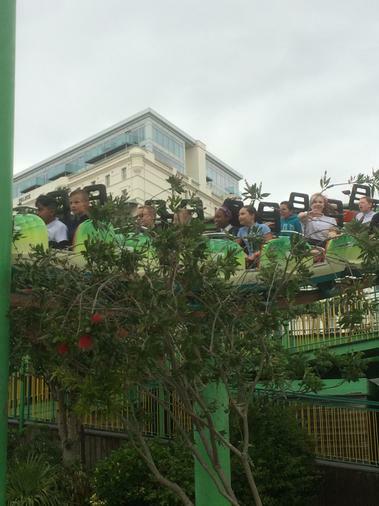 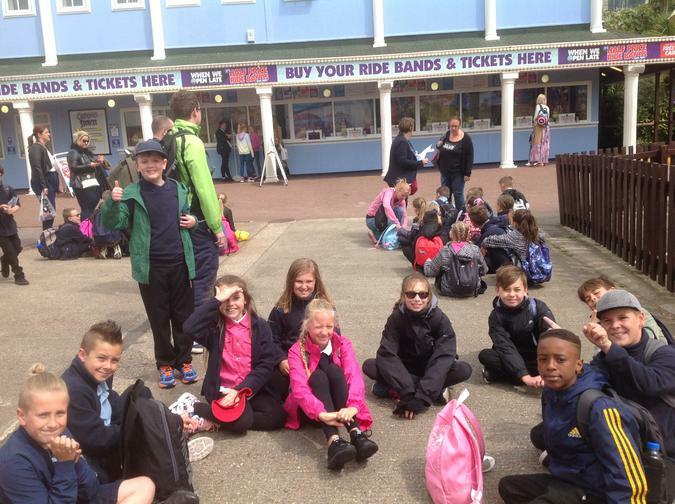 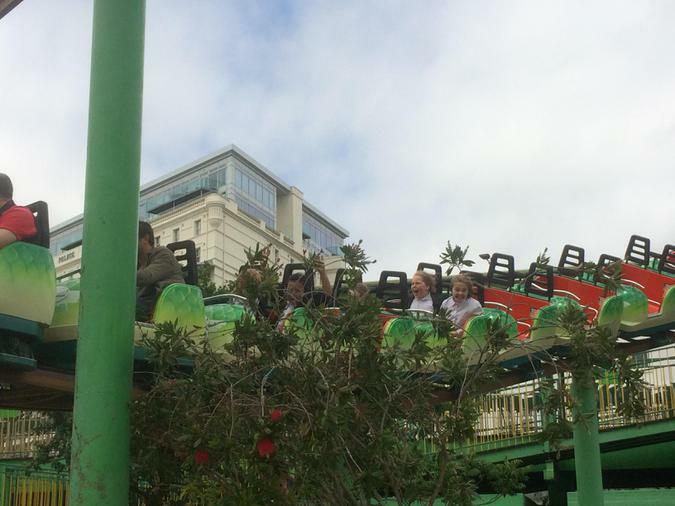 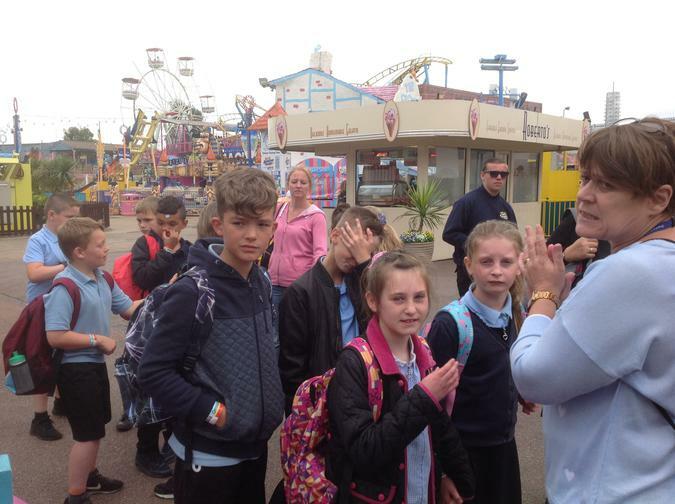 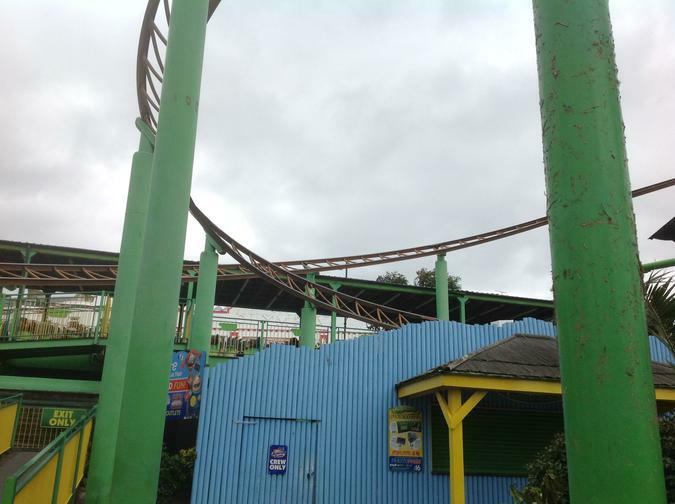 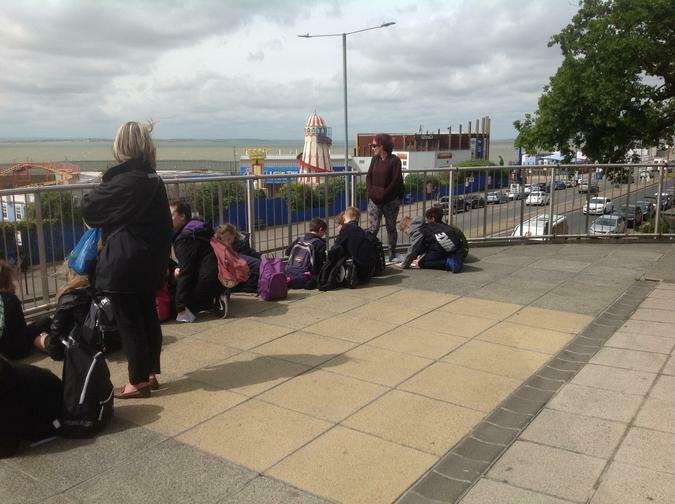 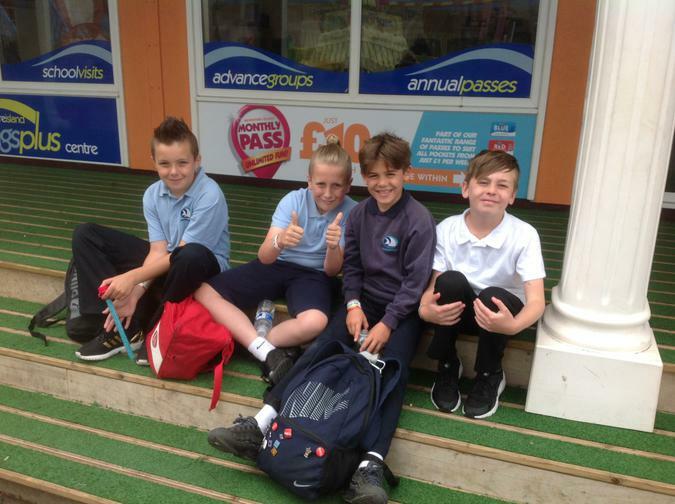 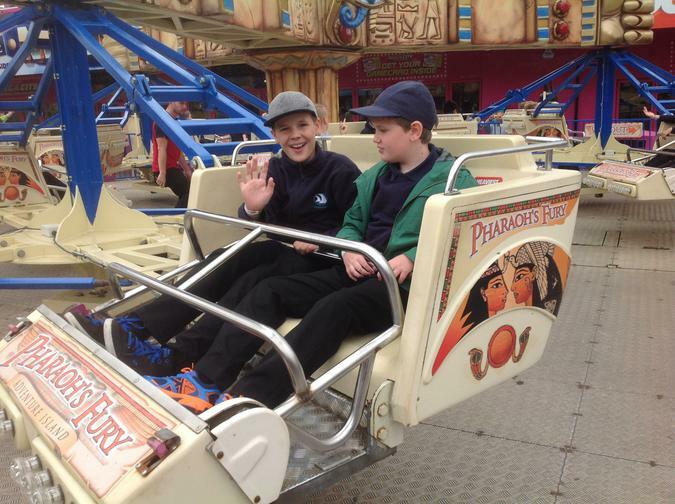 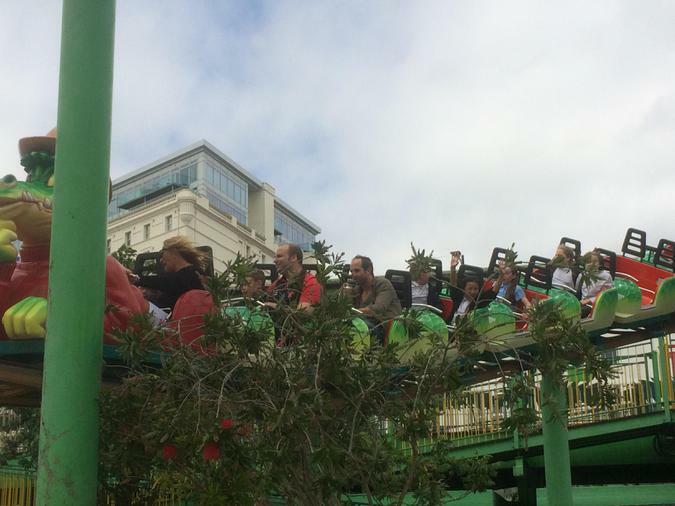 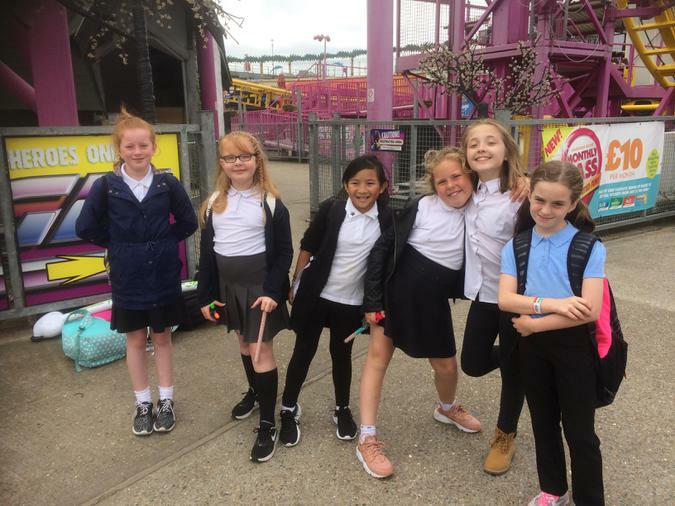 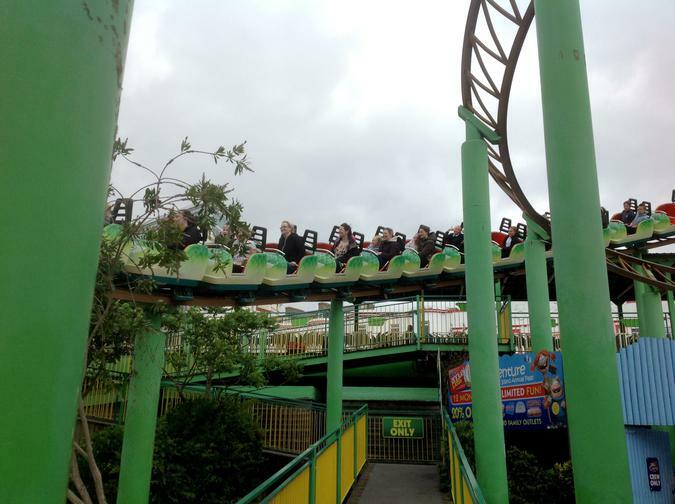 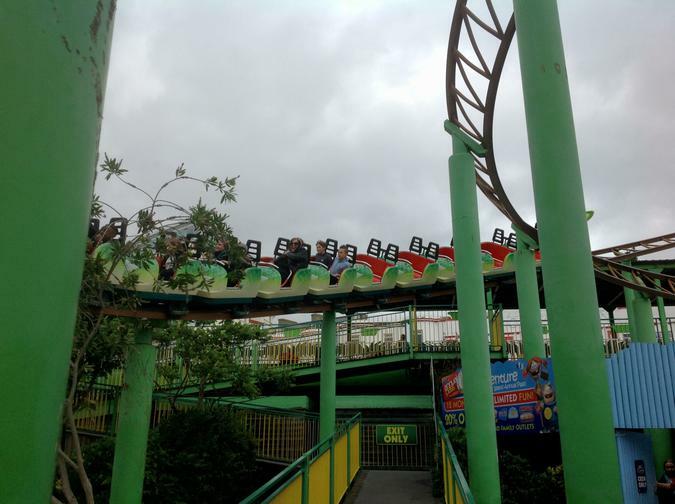 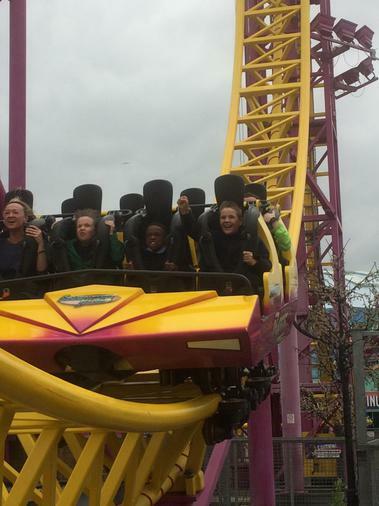 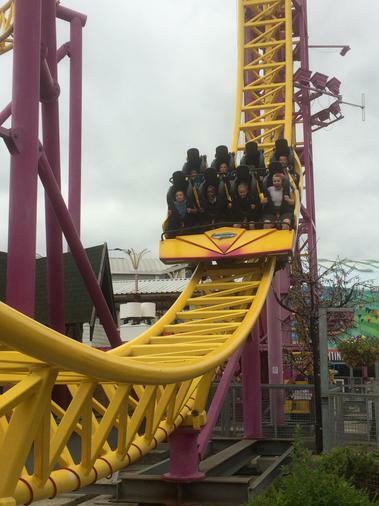 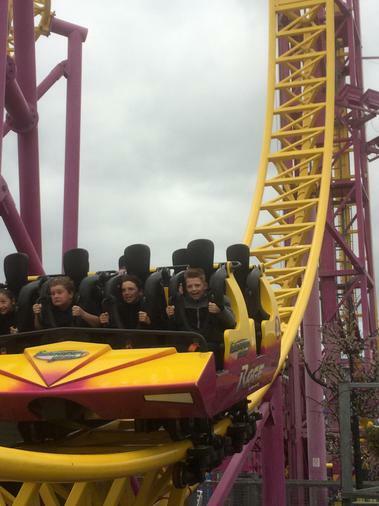 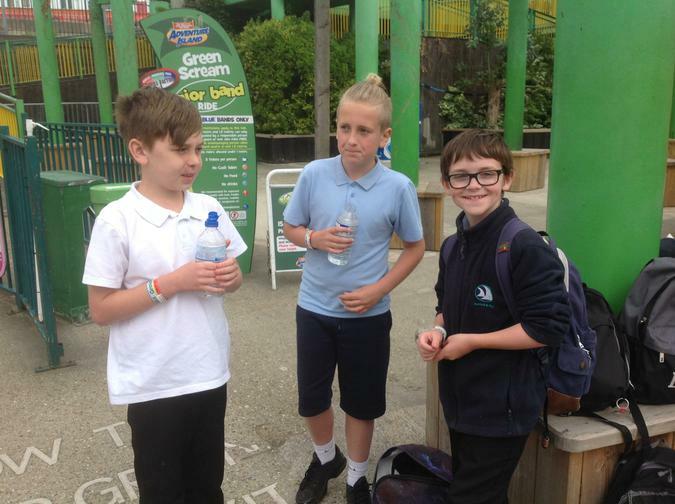 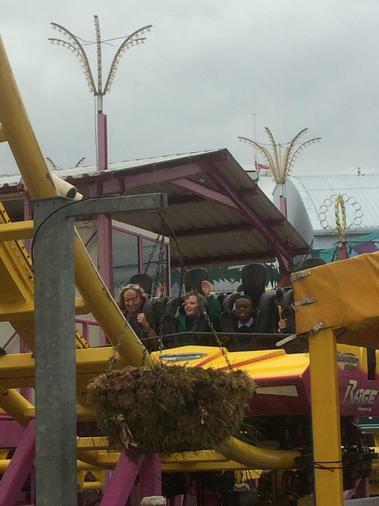 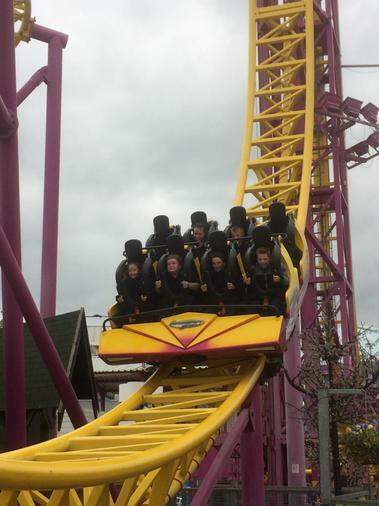 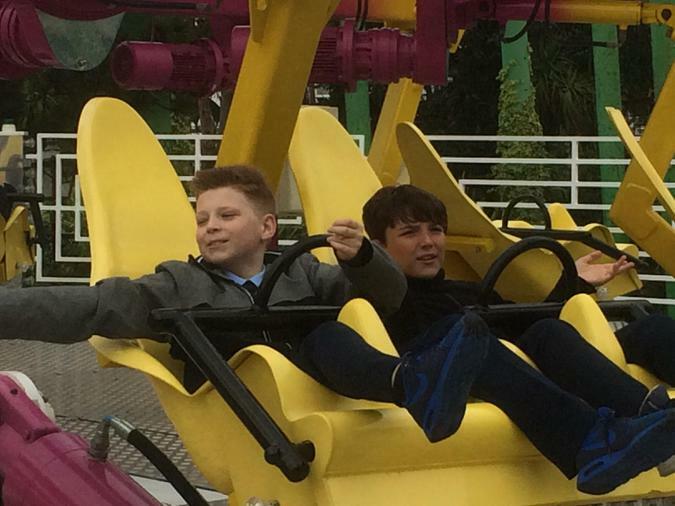 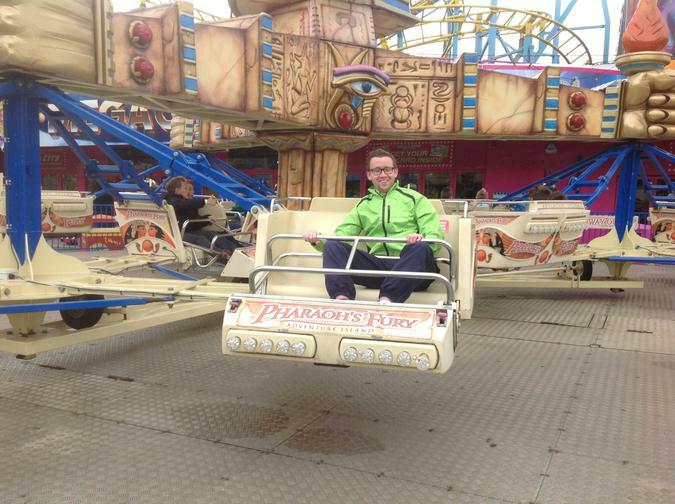 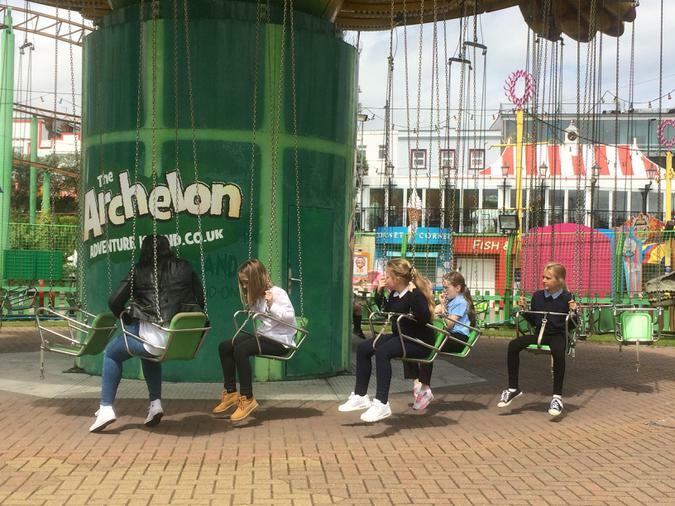 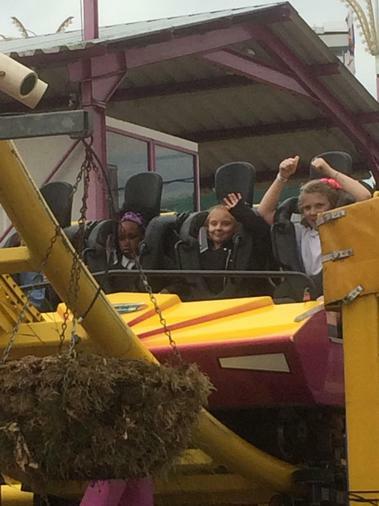 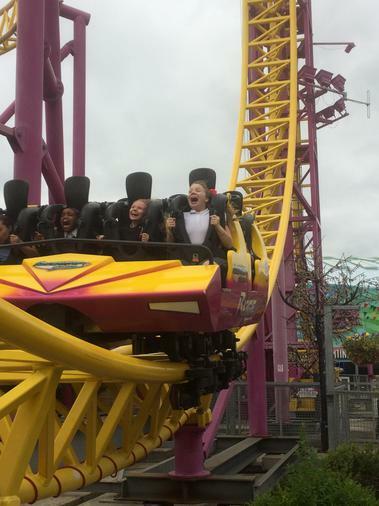 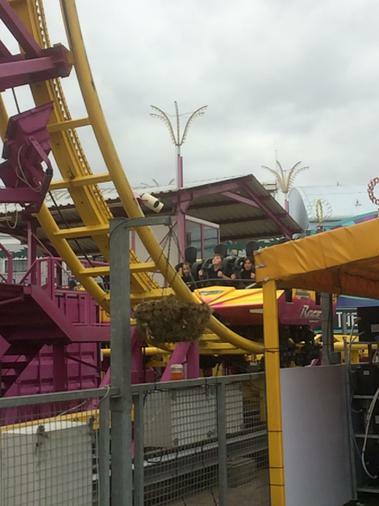 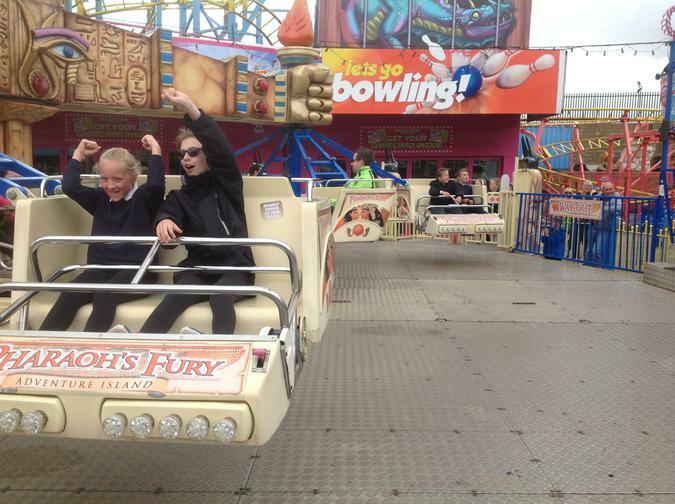 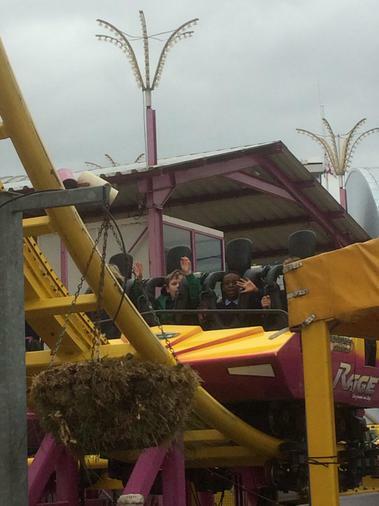 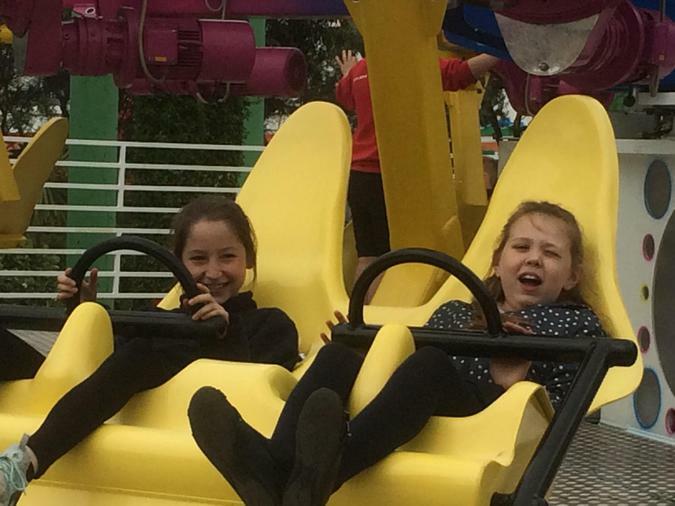 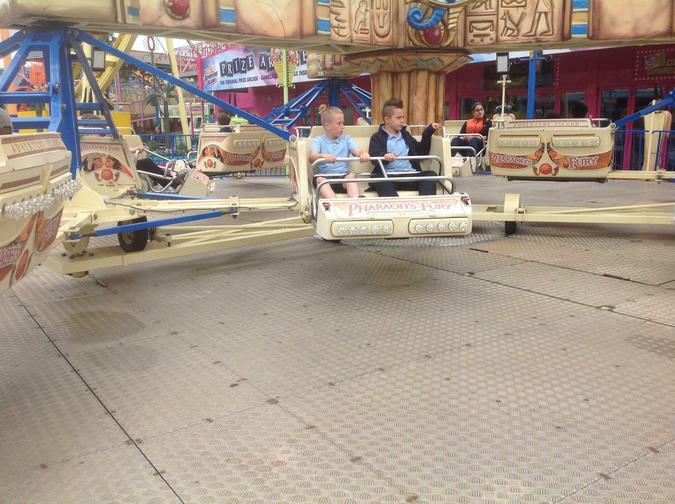 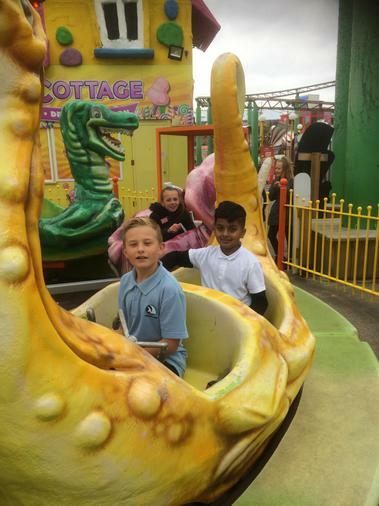 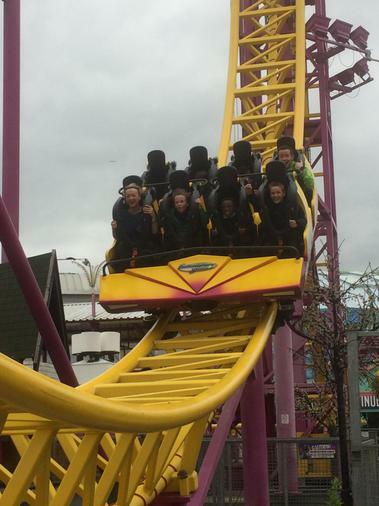 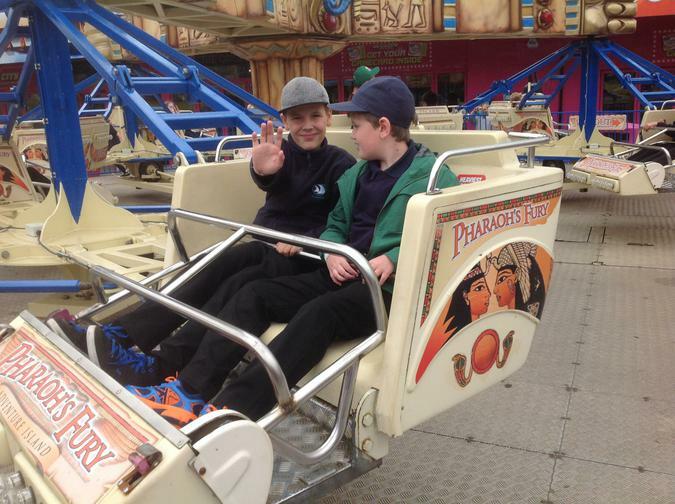 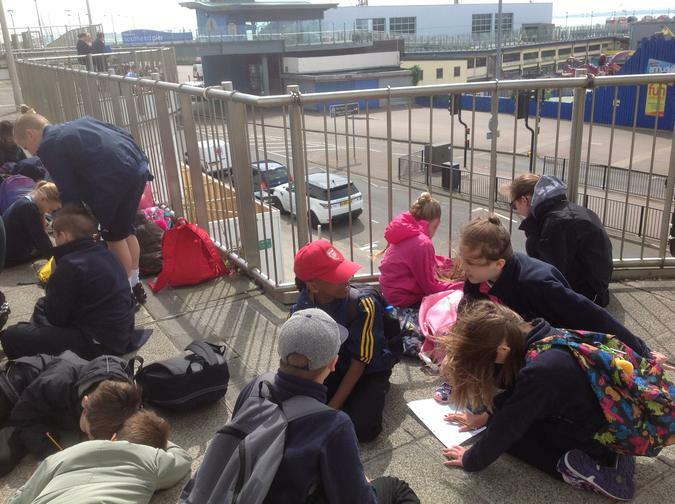 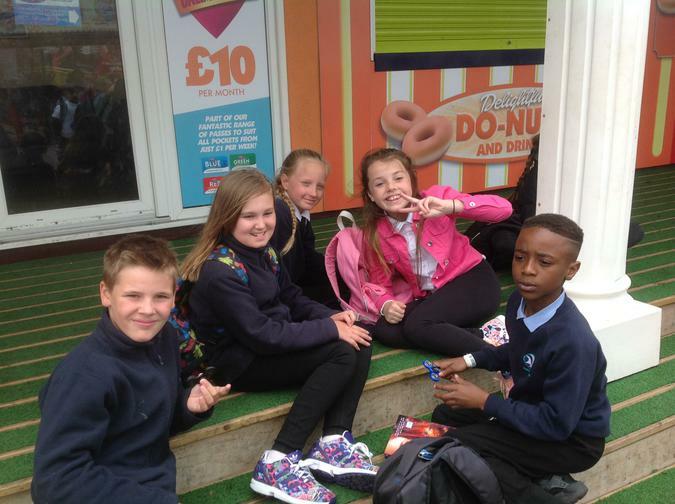 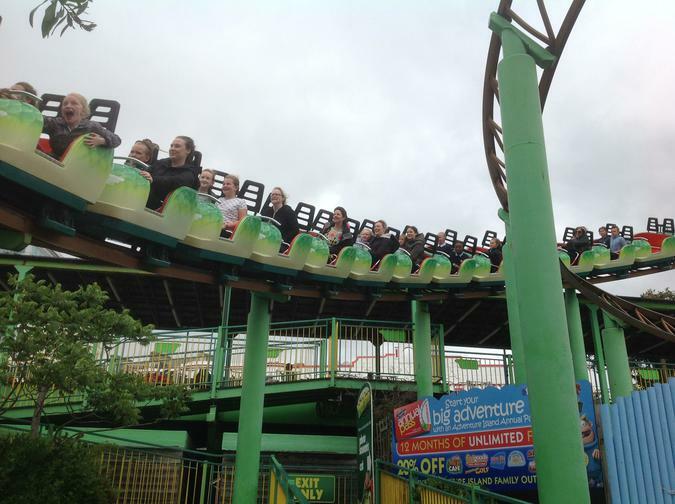 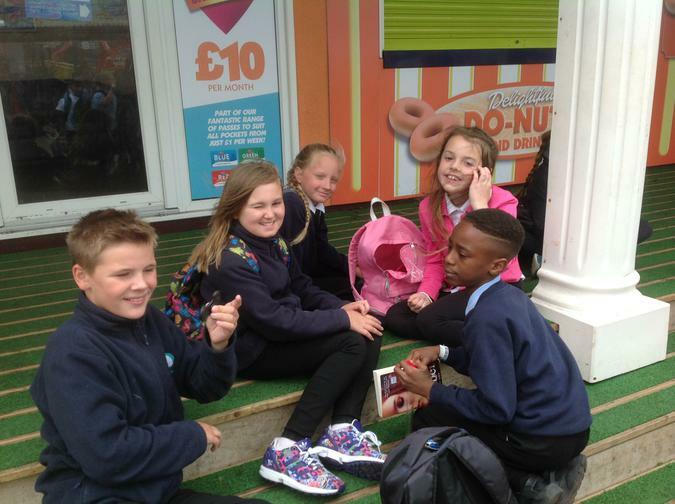 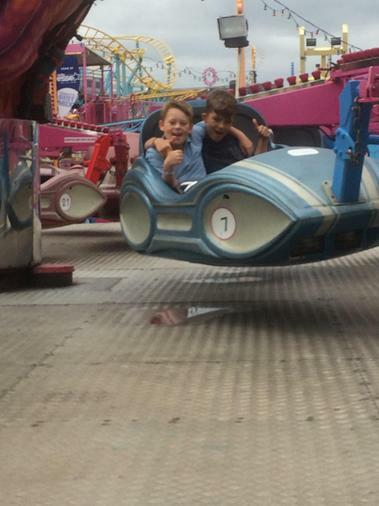 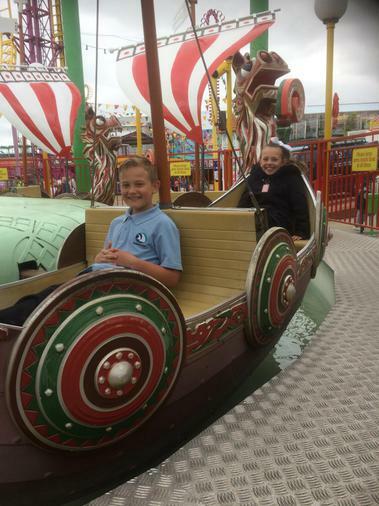 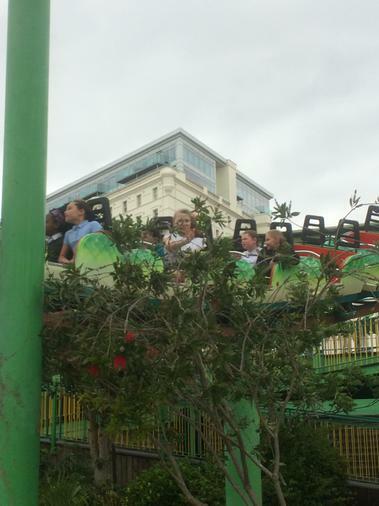 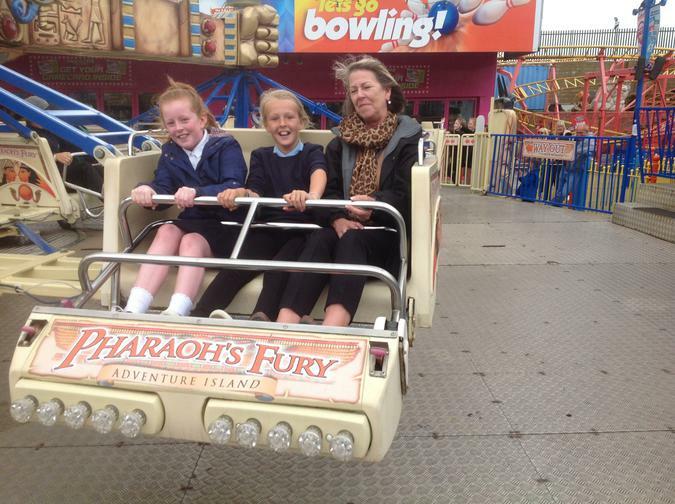 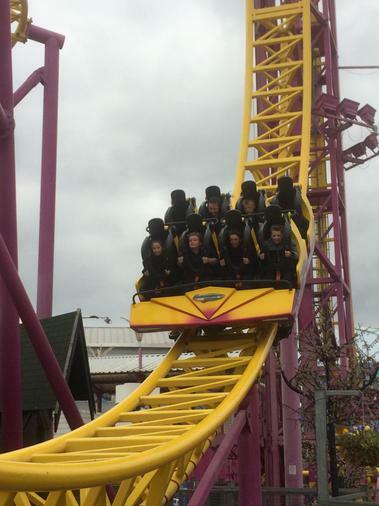 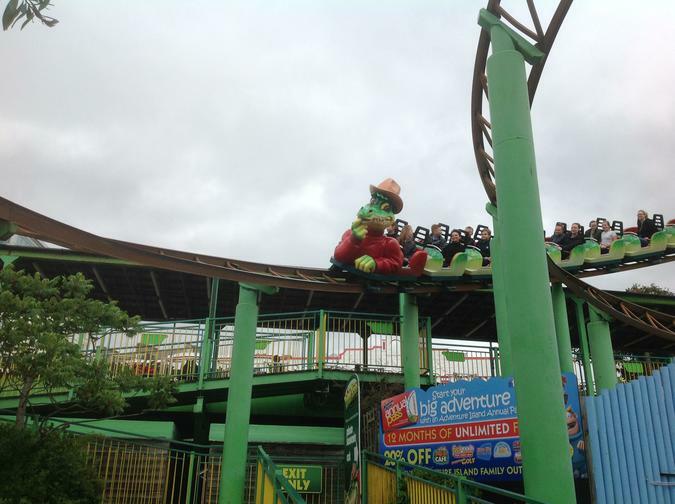 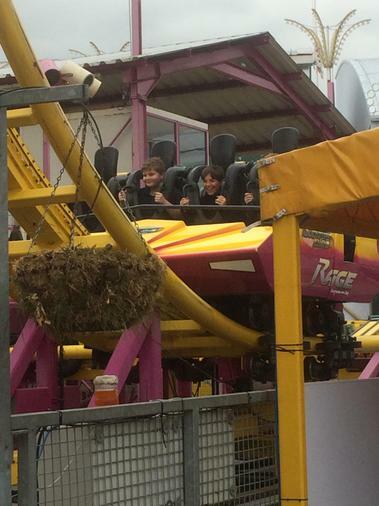 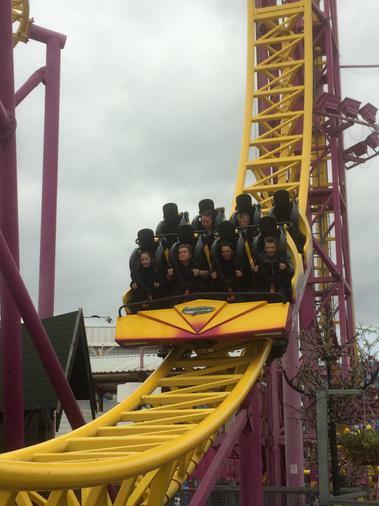 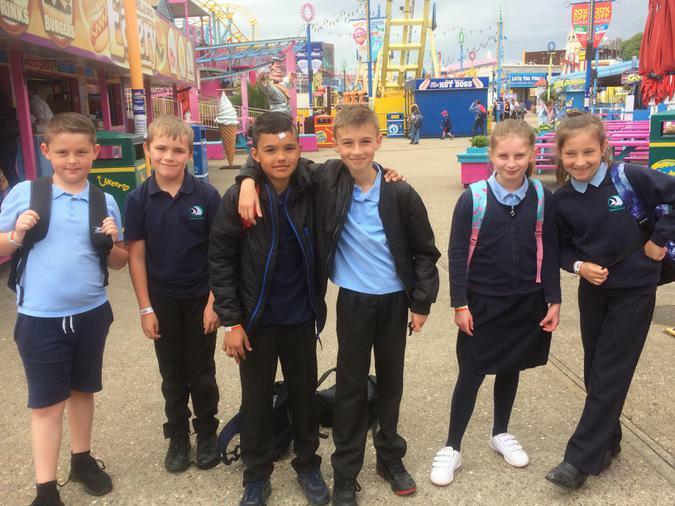 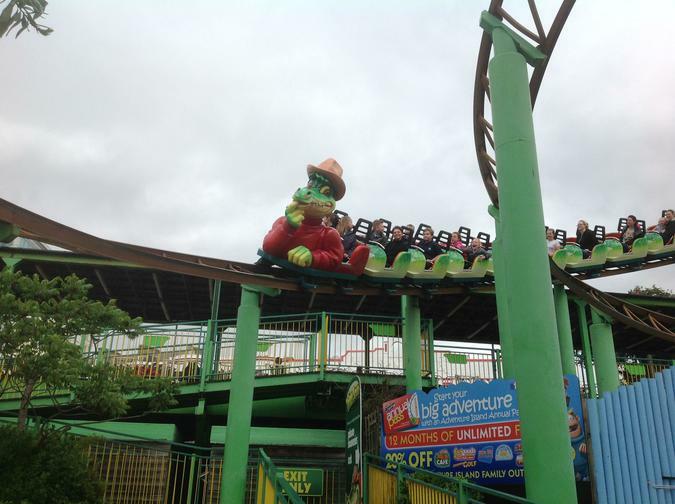 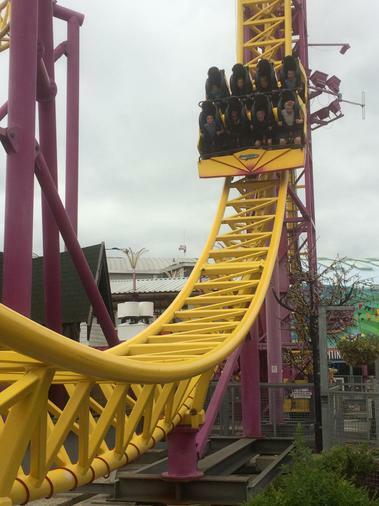 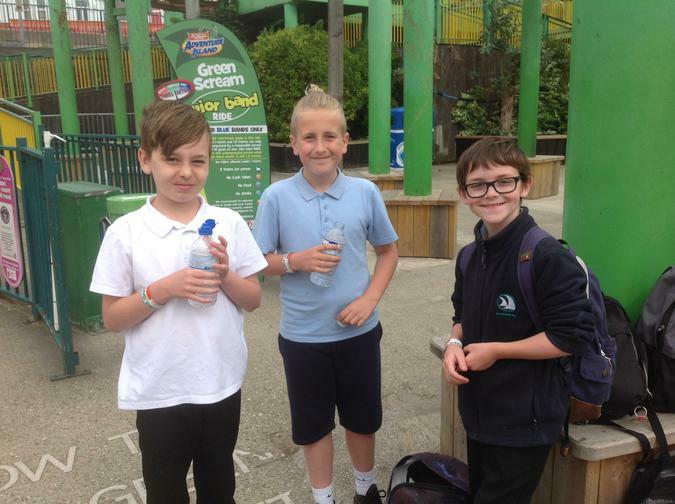 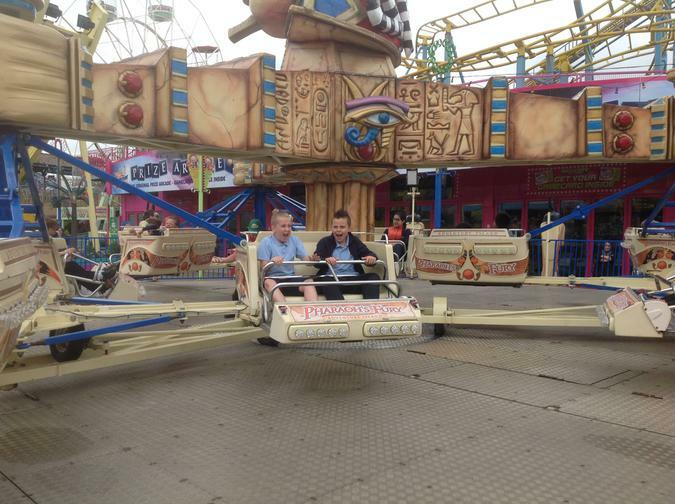 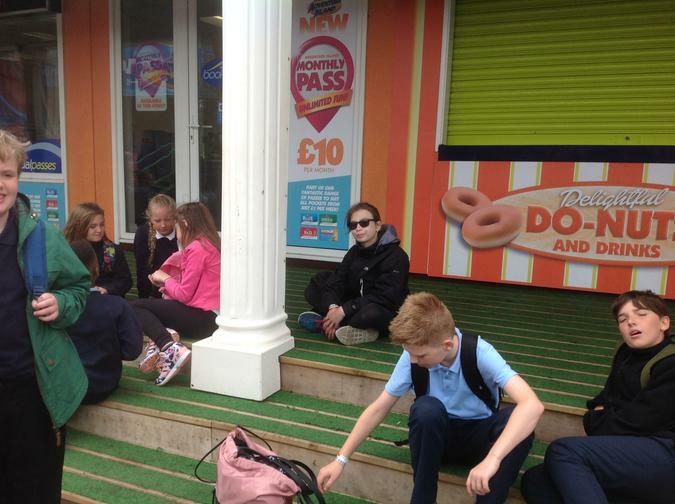 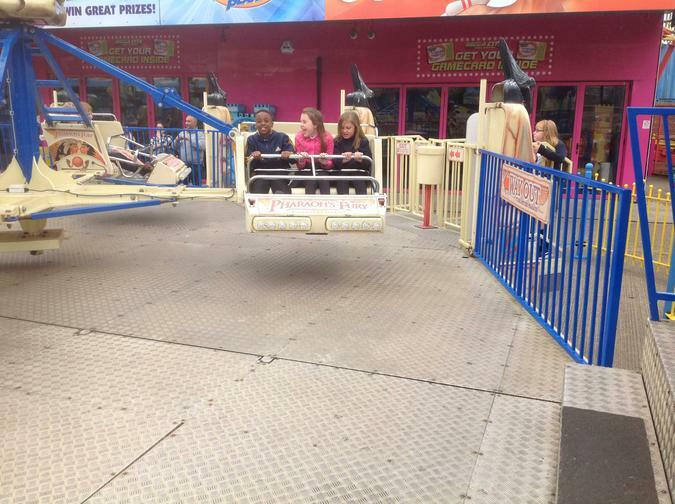 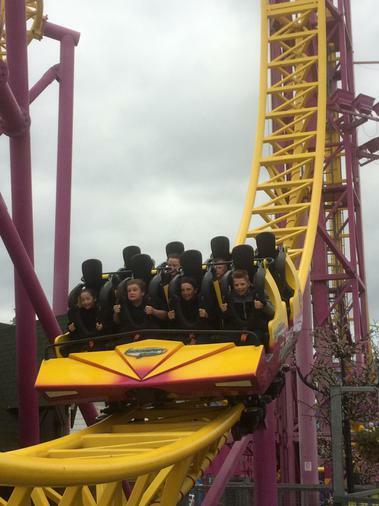 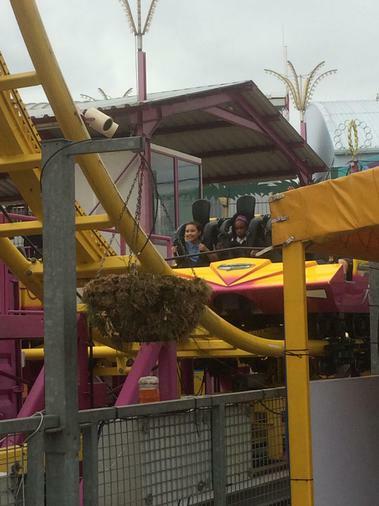 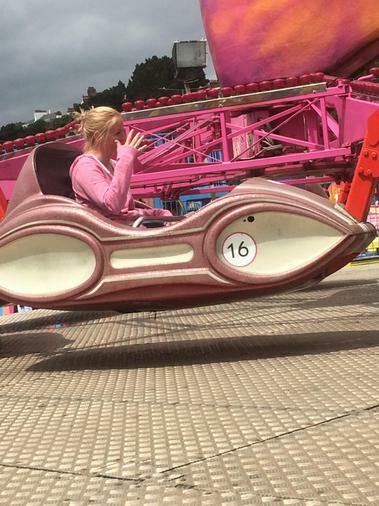 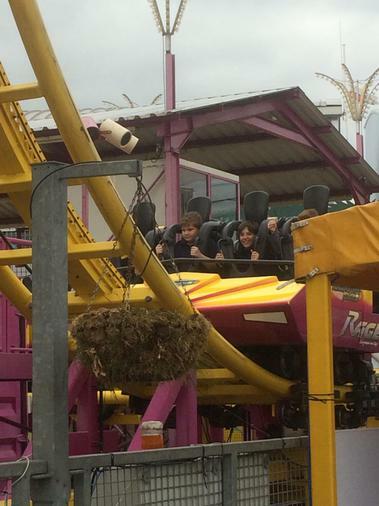 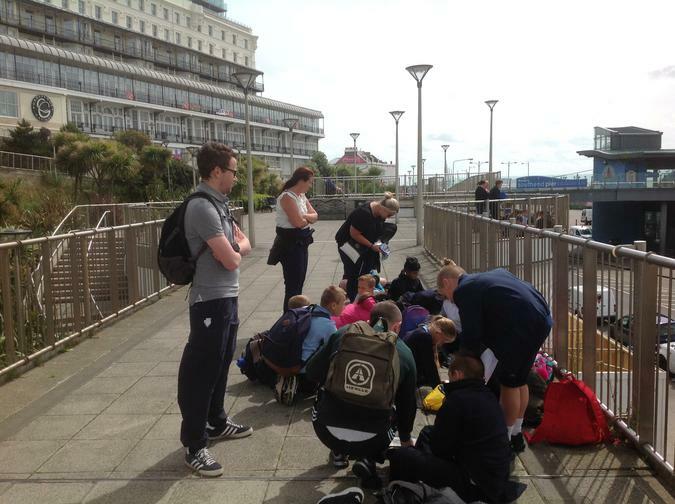 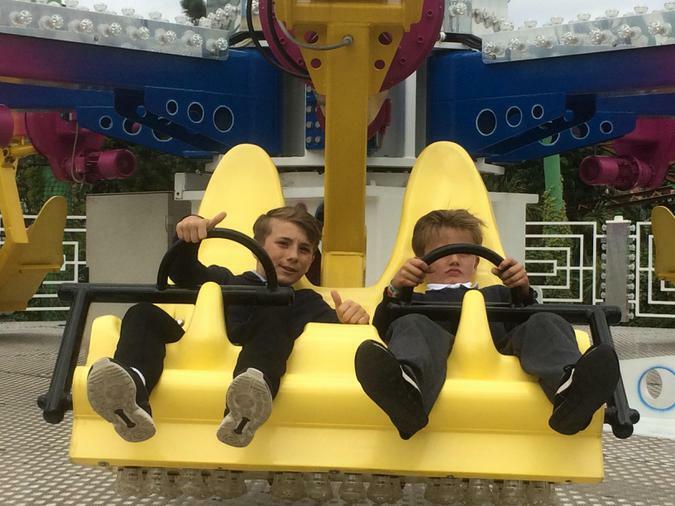 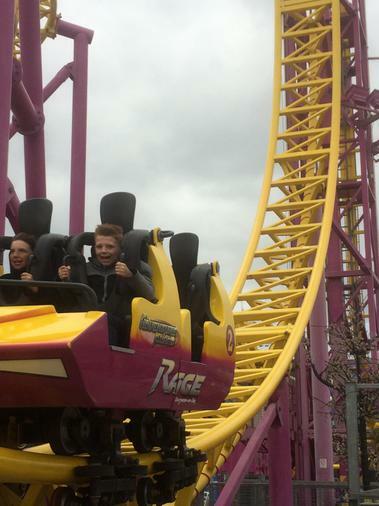 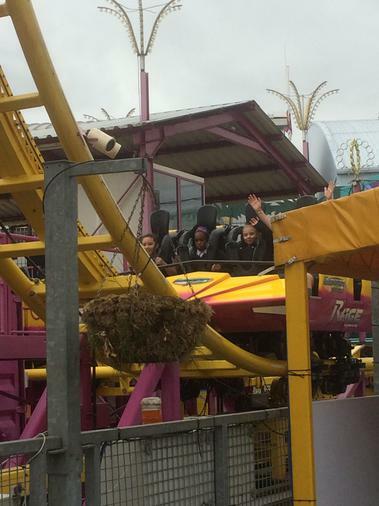 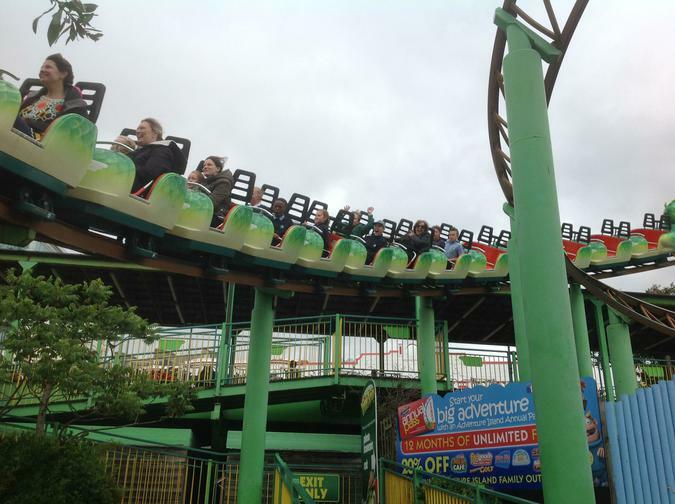 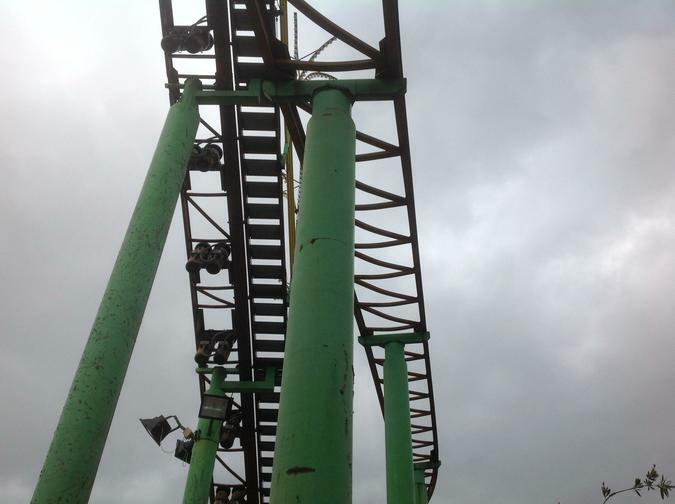 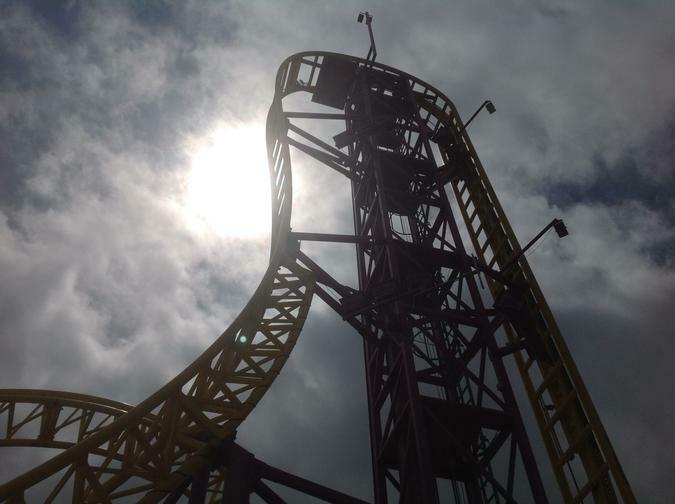 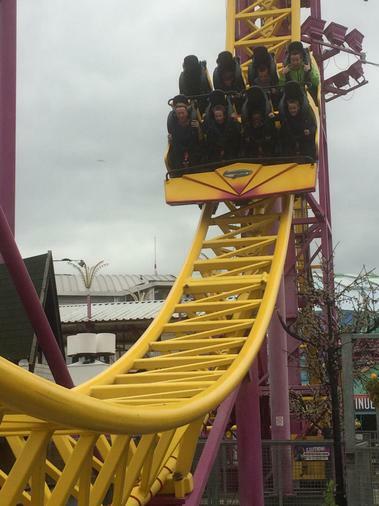 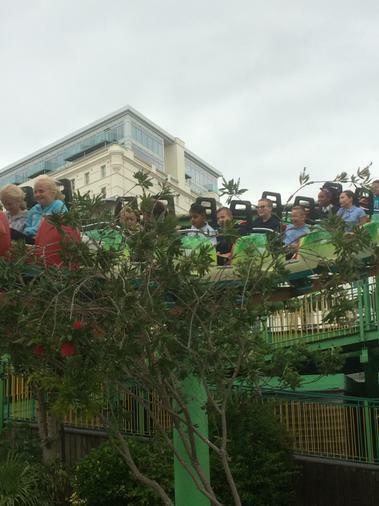 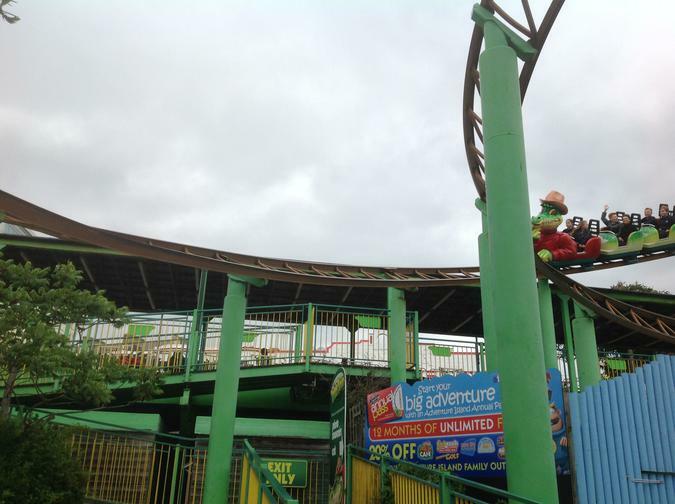 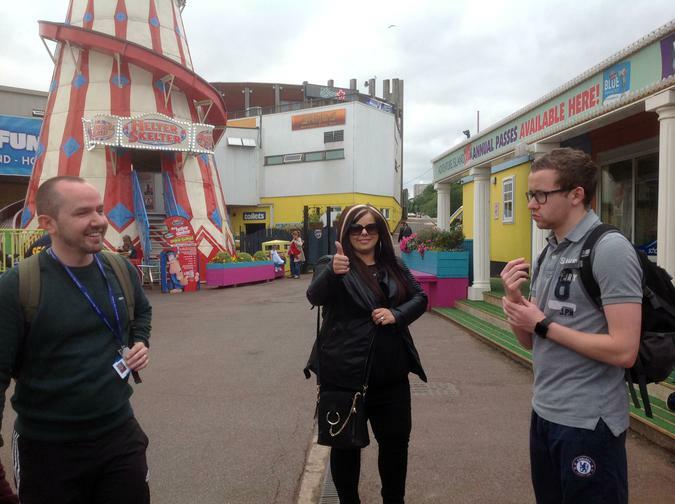 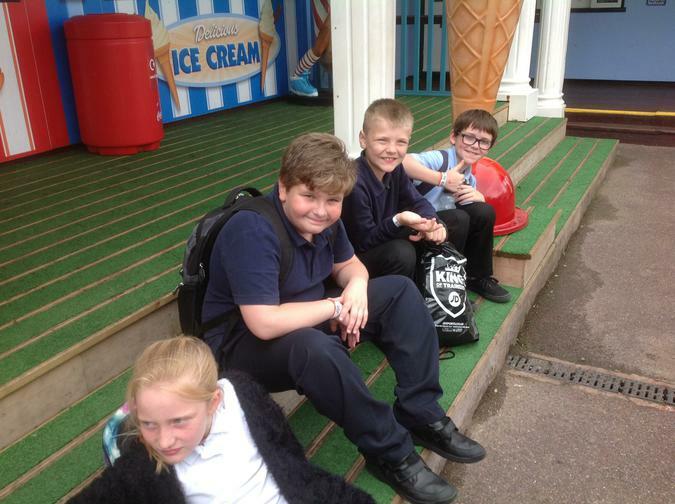 Year 5 thoroughly enjoyed their trip to Adventure Island in Southend today. 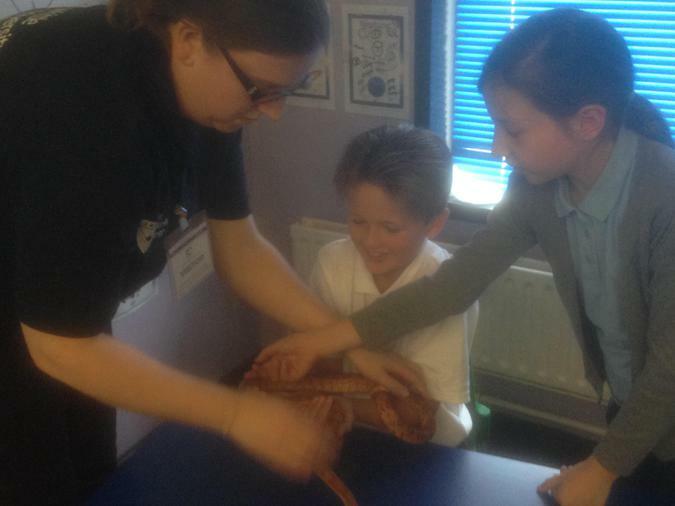 Big thank you to all the parents who came along to help and a massive well done to all the children who were so brilliantly behaved. 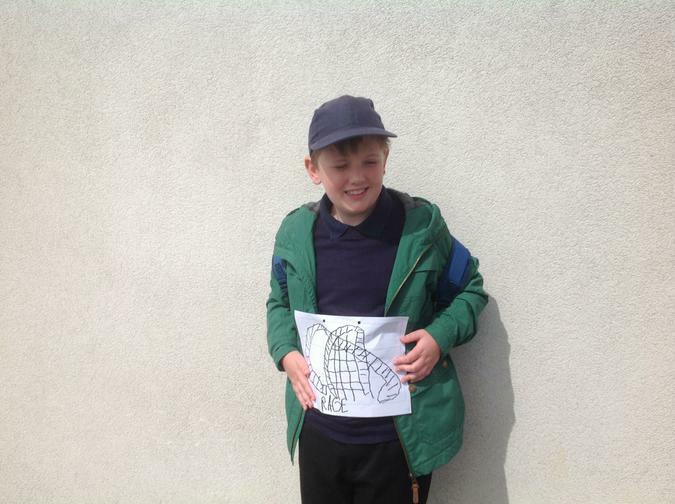 Fantastic French work from Y5. 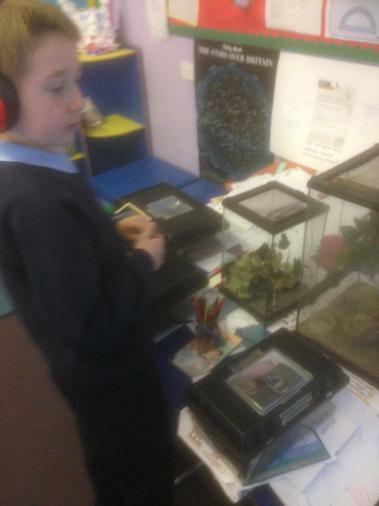 Writing about what hobbies they like and don't like. 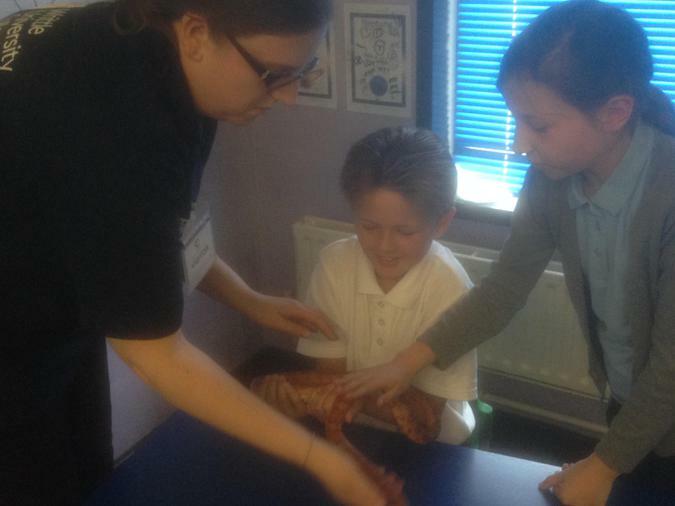 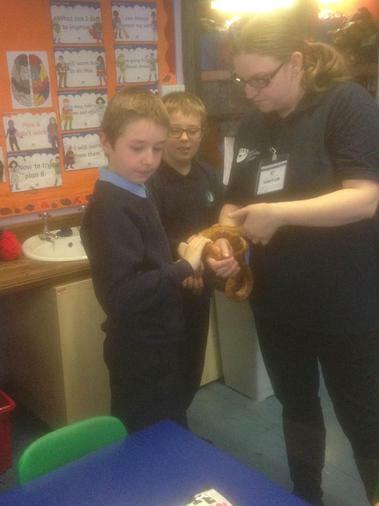 Year 5 really enjoyed the visit from Mrs Salvage, a lecturer from Writtle College. 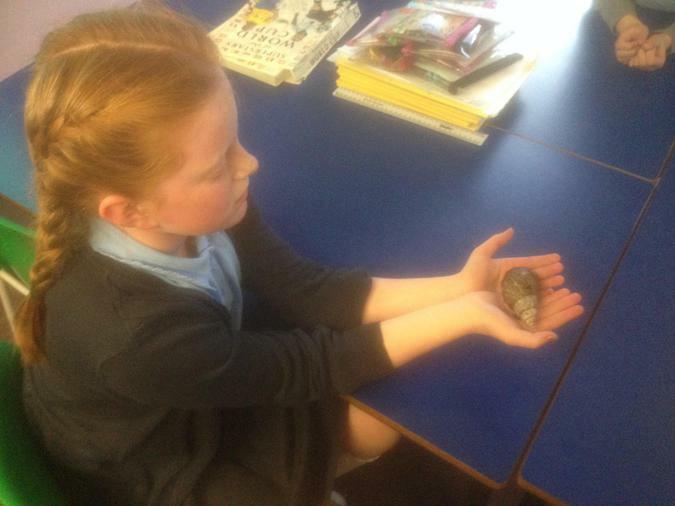 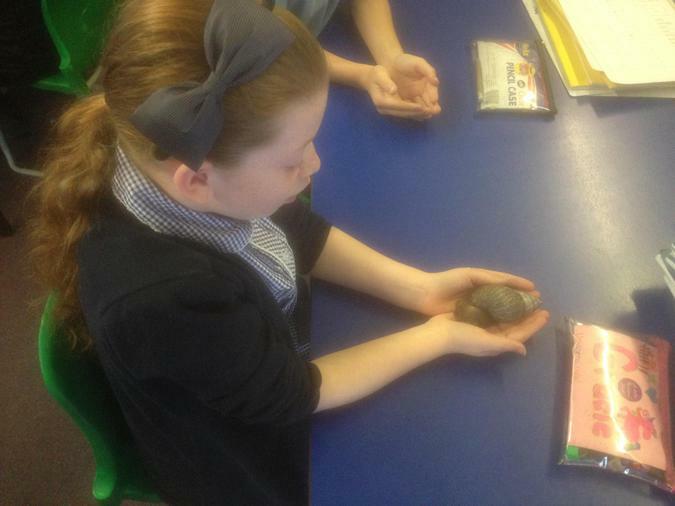 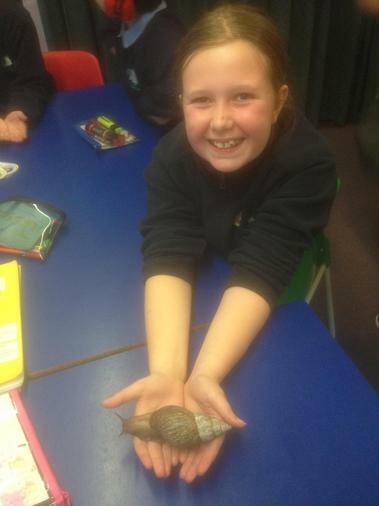 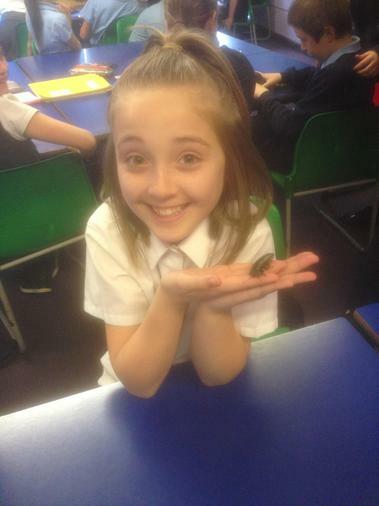 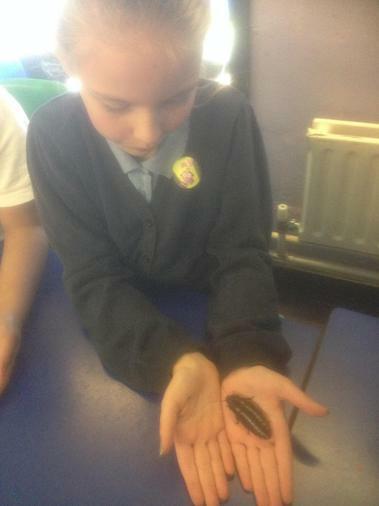 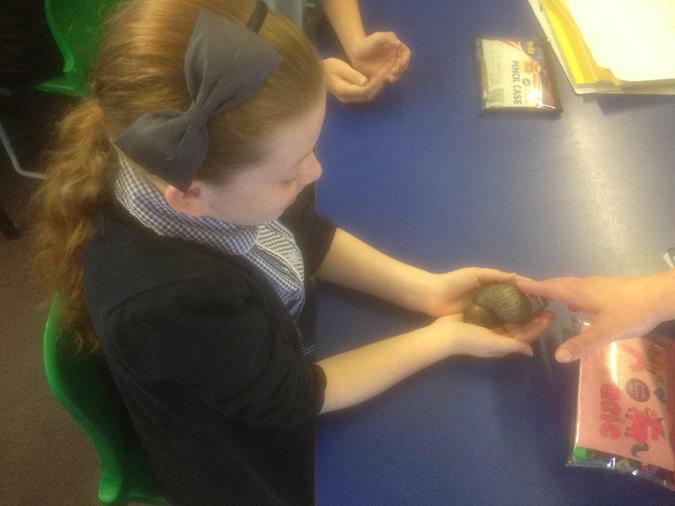 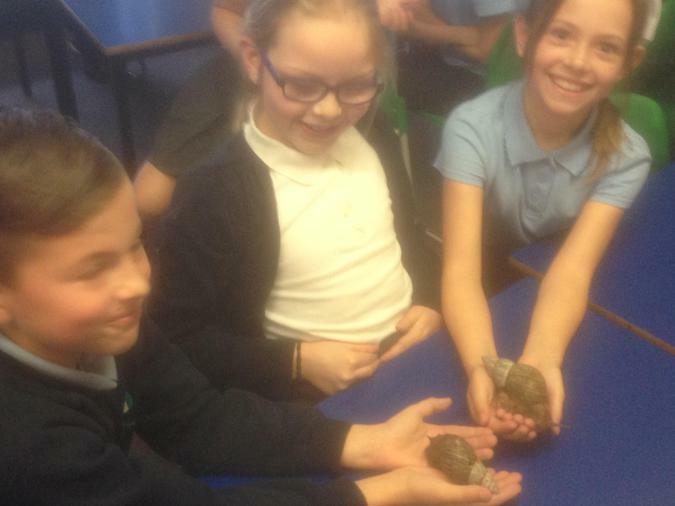 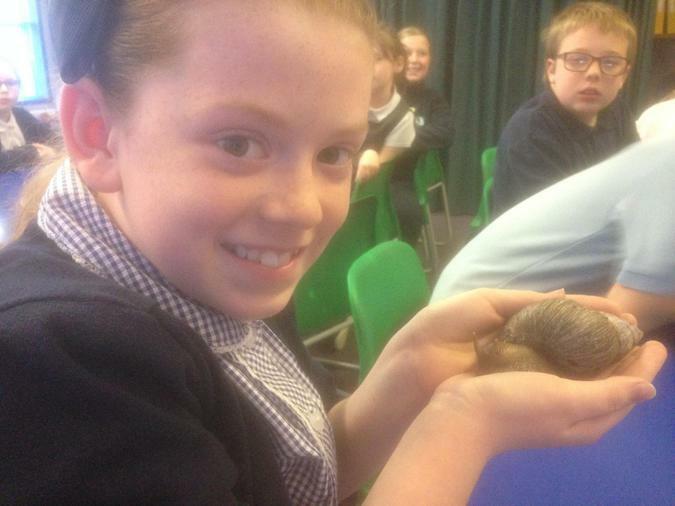 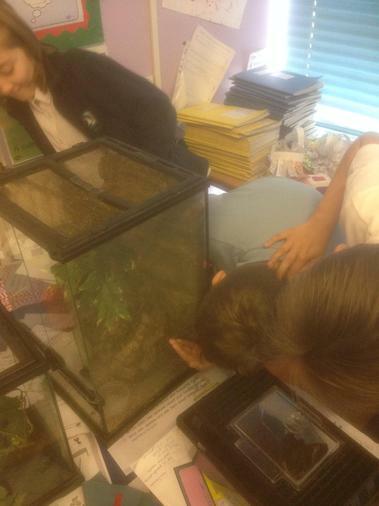 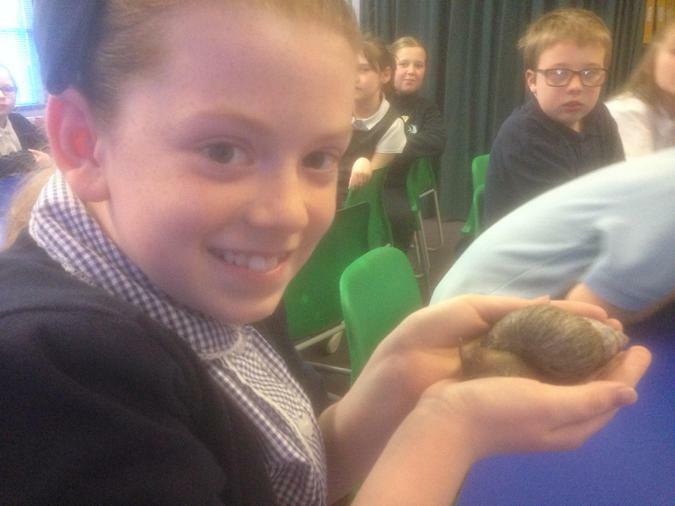 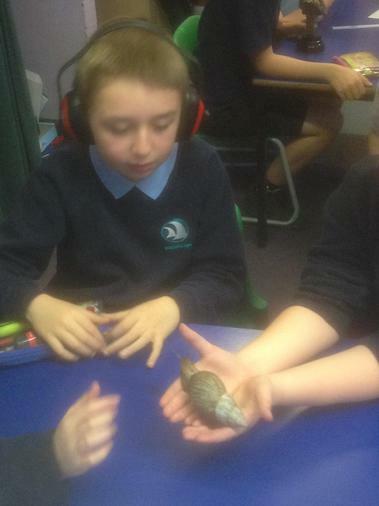 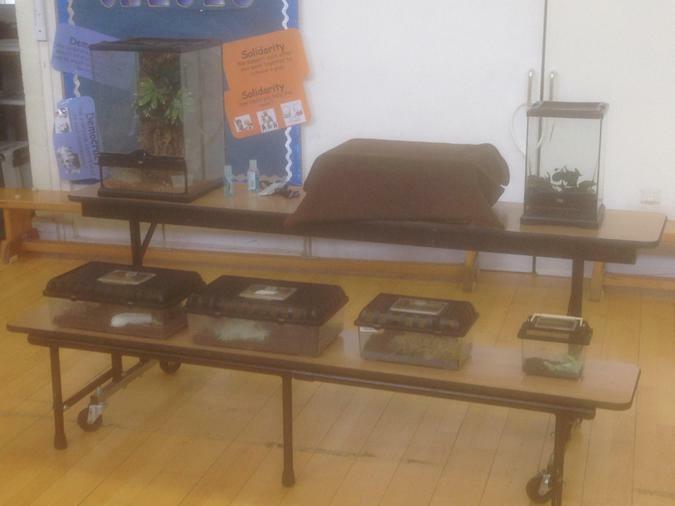 She brought in various minibeasts, including a tarantula and giant African land snails, for the children to learn about and handle. 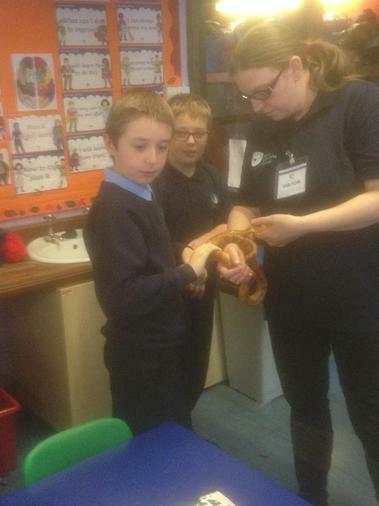 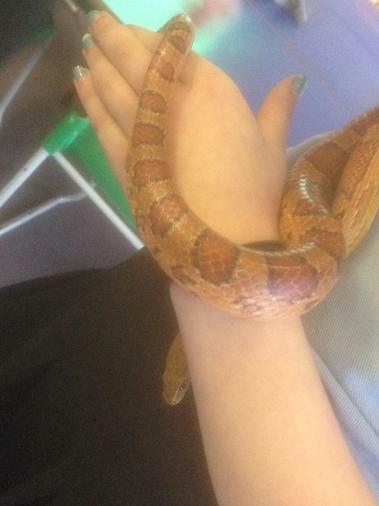 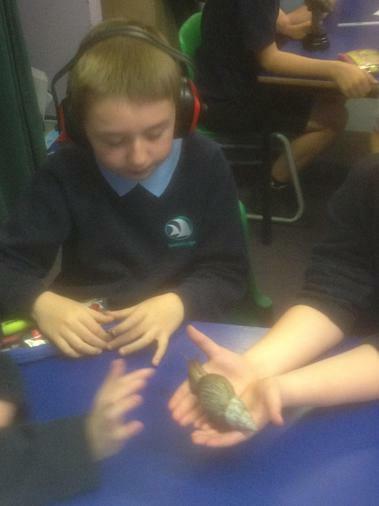 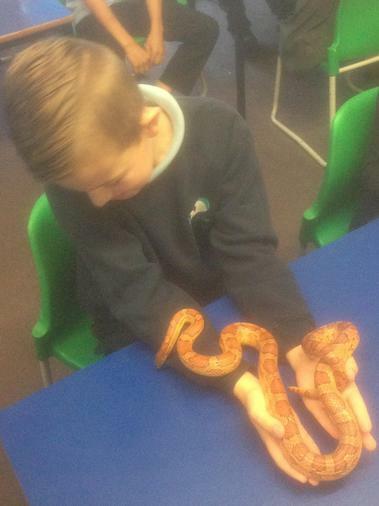 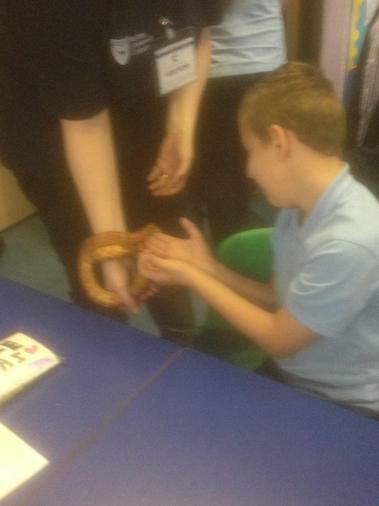 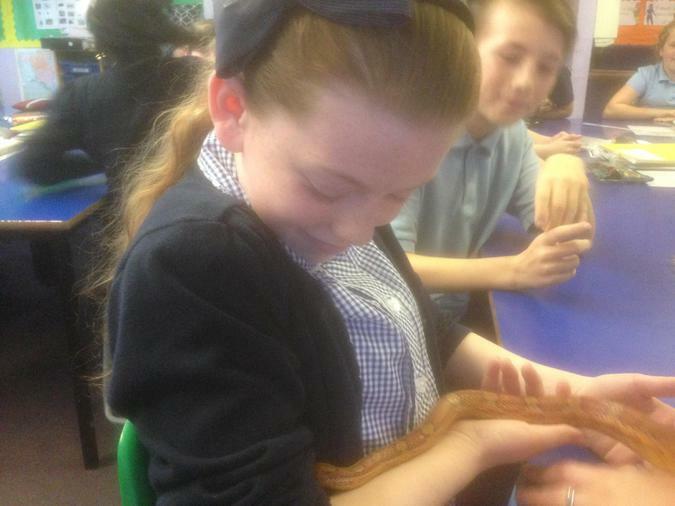 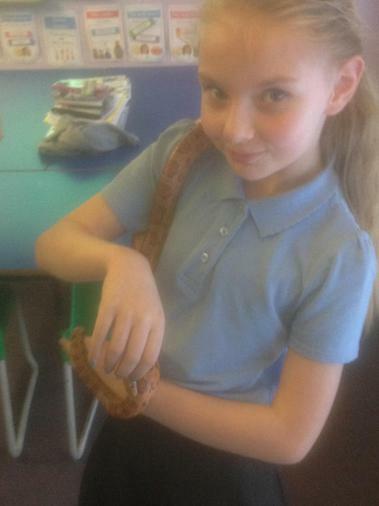 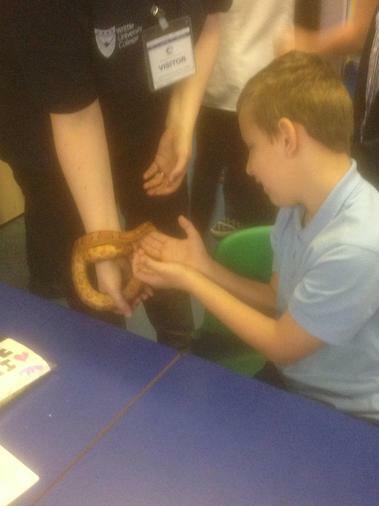 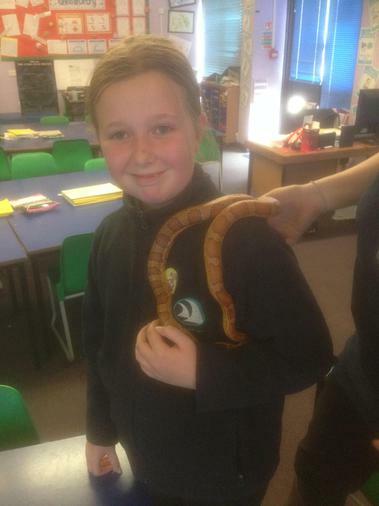 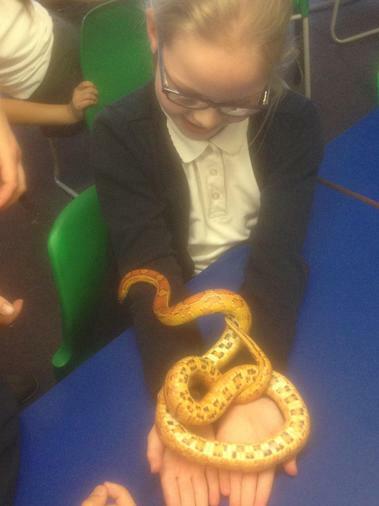 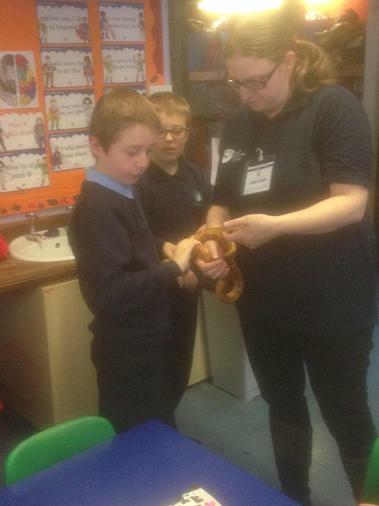 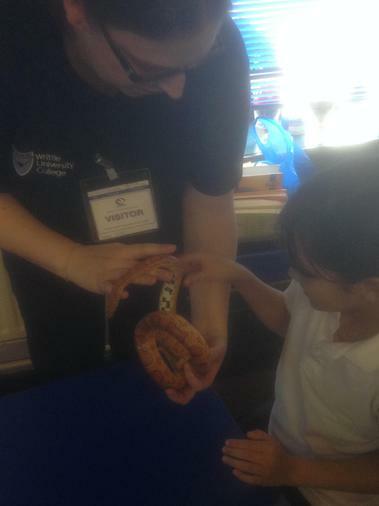 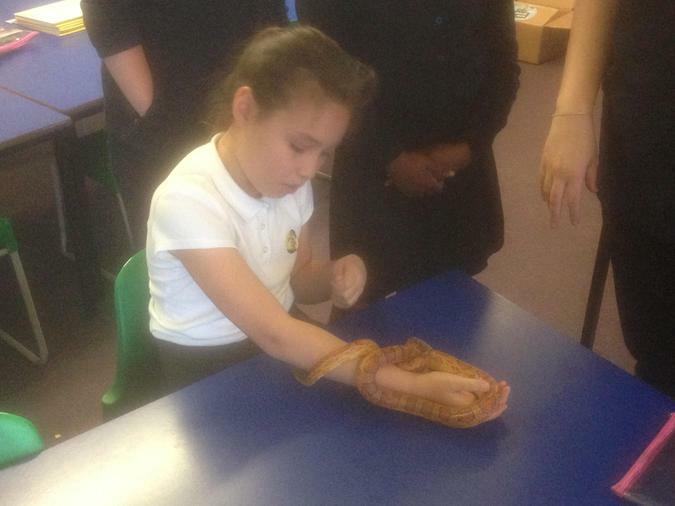 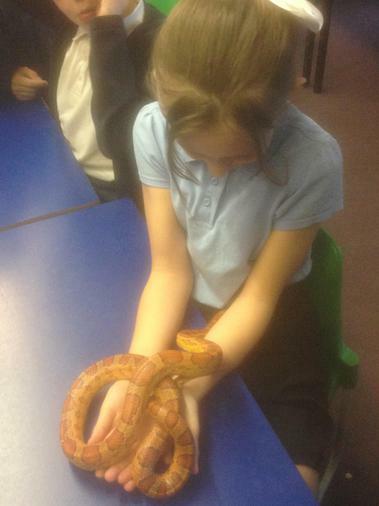 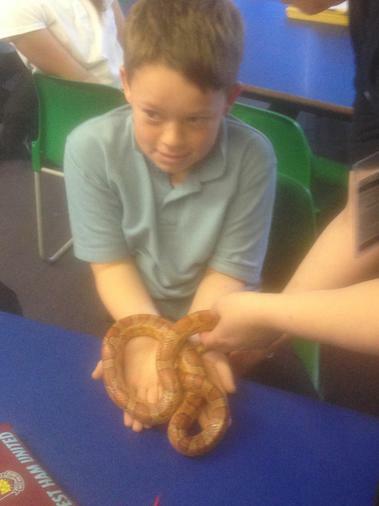 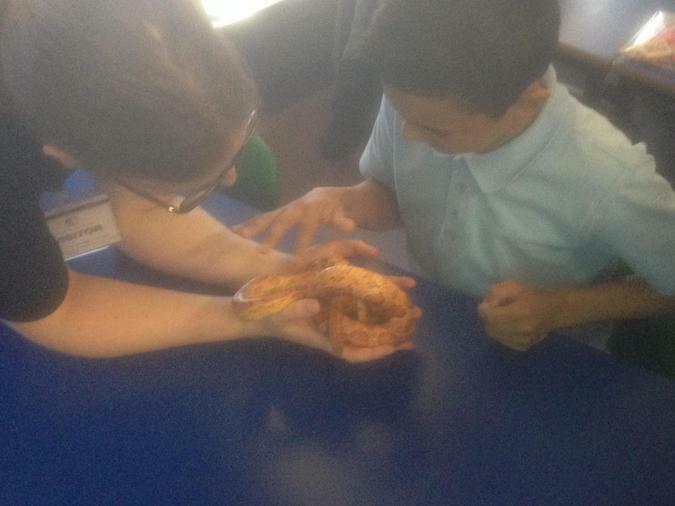 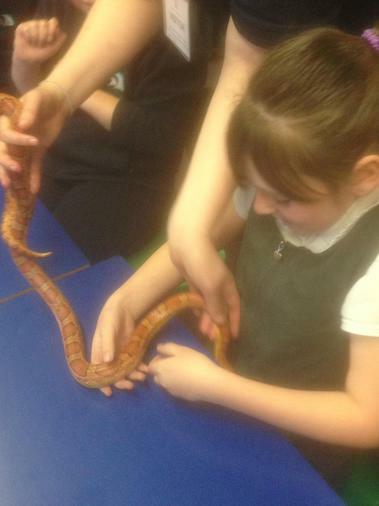 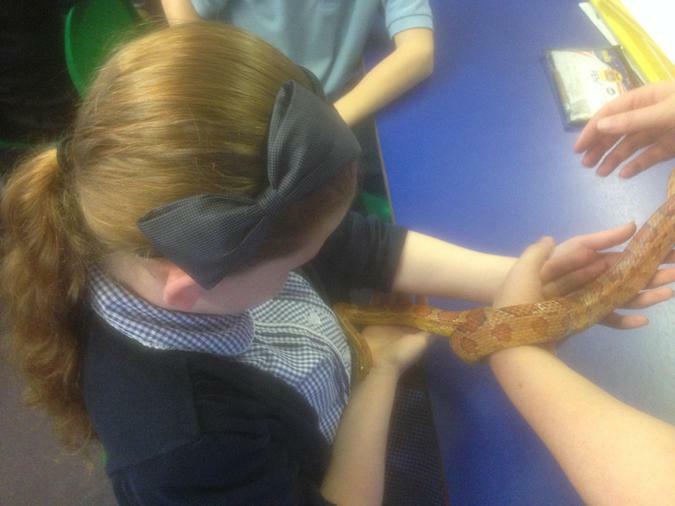 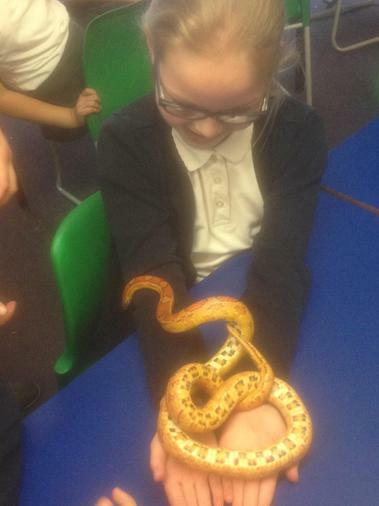 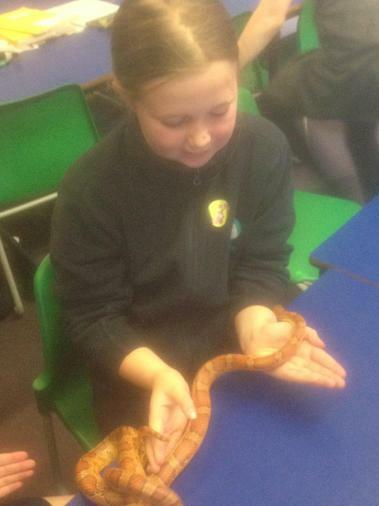 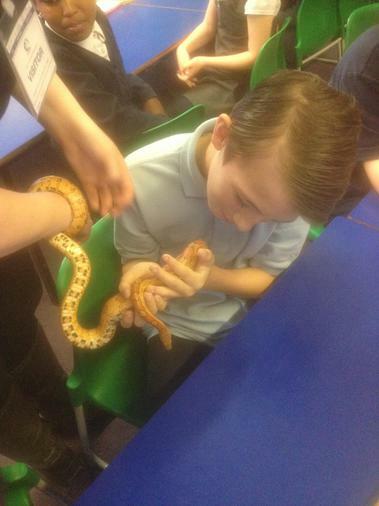 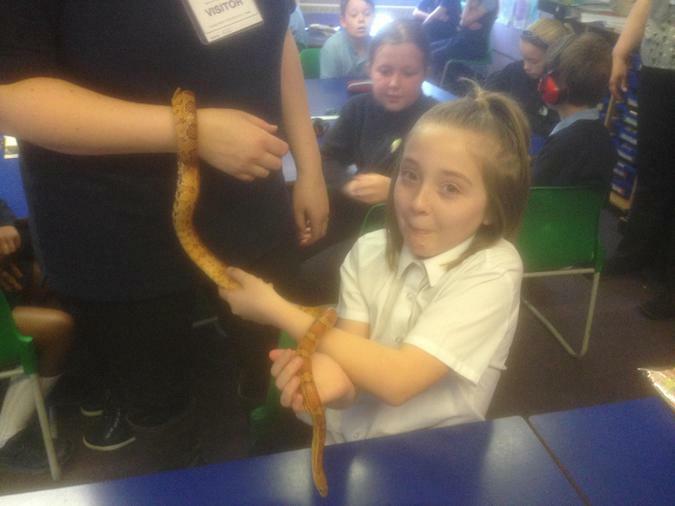 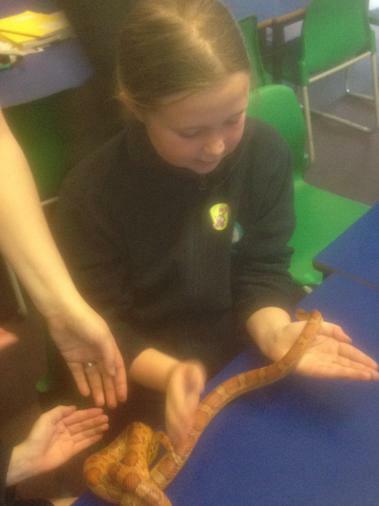 Some were even brave enough to hold the special guest; a North American corn snake. 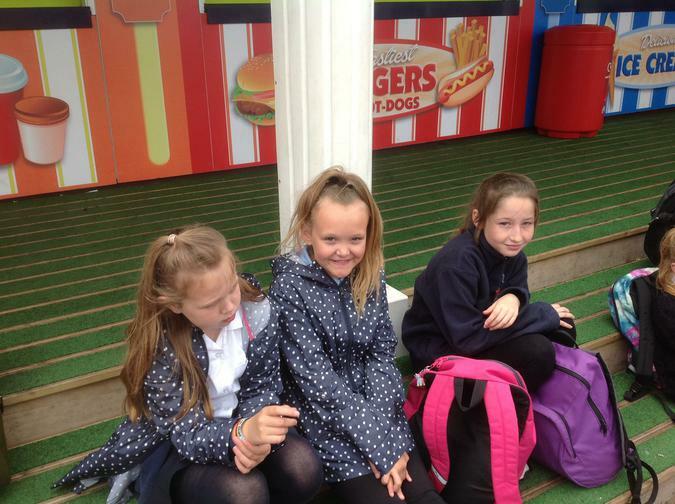 Here are some pictures from class 11. 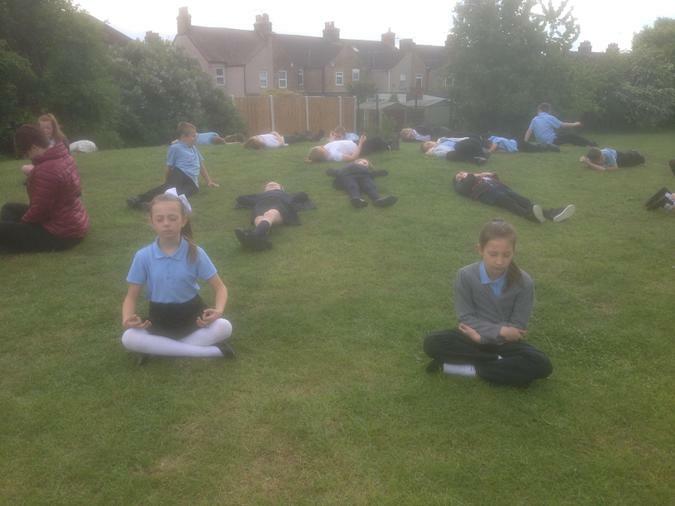 Class 11 learned about meditation during RE day today. 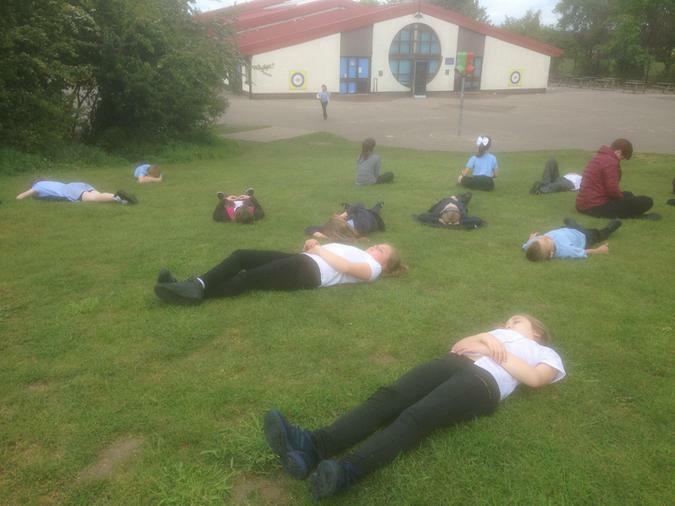 The opportunity to stop and reflect silently was appreciated by all! 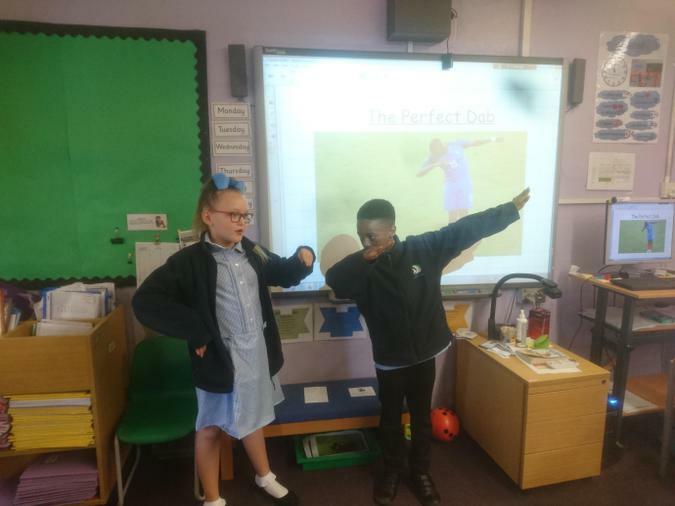 Class 12 have been busy trying to find the angle of a perfect 'dab'. 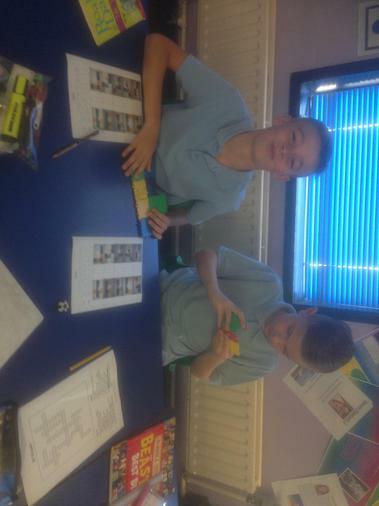 In class 11, we have been looking at 3D shapes and how to create them by constructing 2D nets. 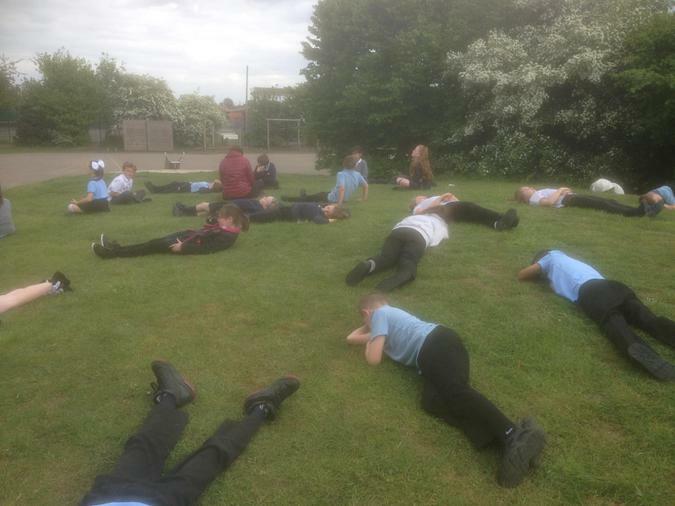 This week we are learning about angles and applying our knowledge in the playground. 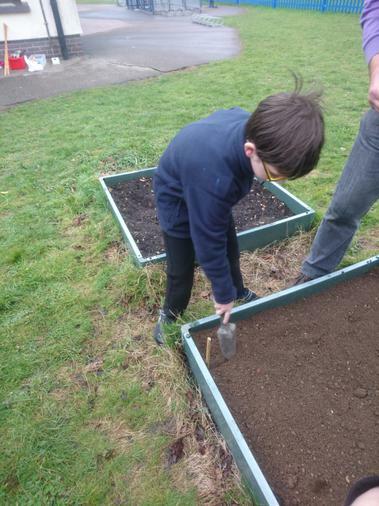 This half term, pupils in year 5 have been keen gardeners. 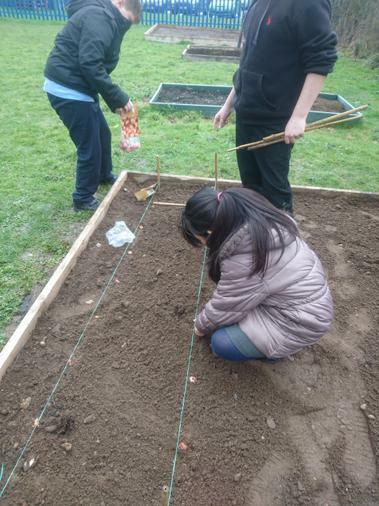 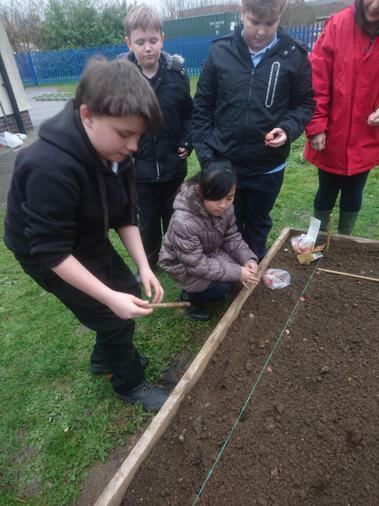 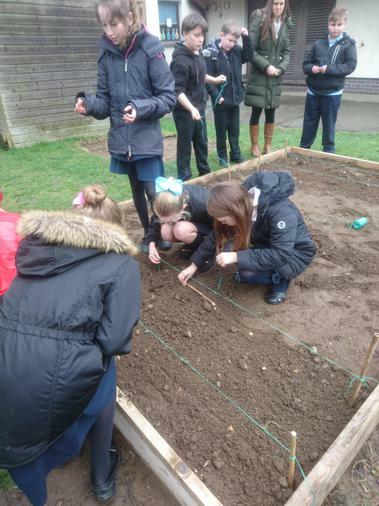 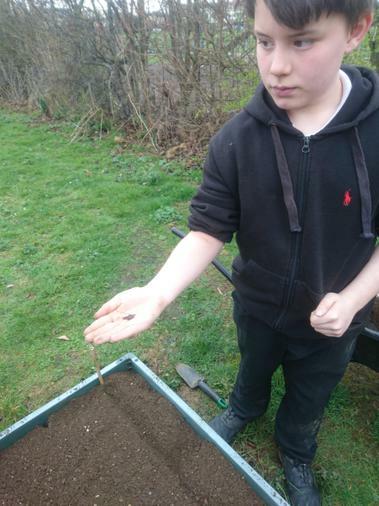 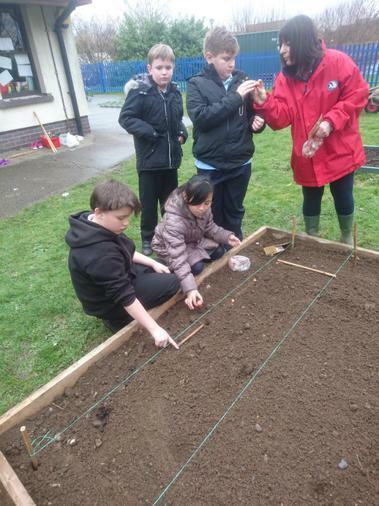 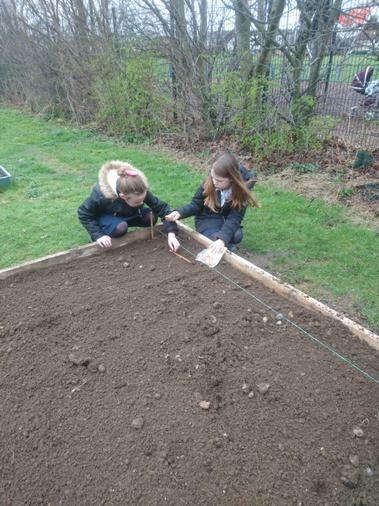 We have planted onions, shallots, potatoes and artichokes and are very much looking forward to watching them grow over the summer terms. 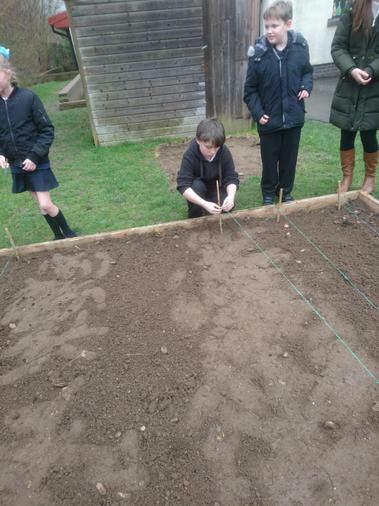 Year 5s allotments before we started growing! 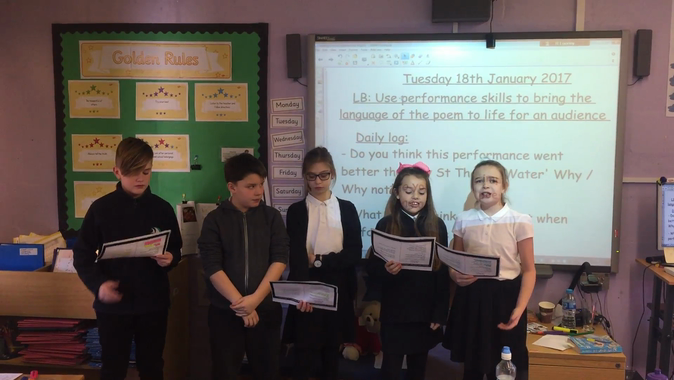 Year 5 performance poetry of a stanza from Michael Rosen's Top Board. 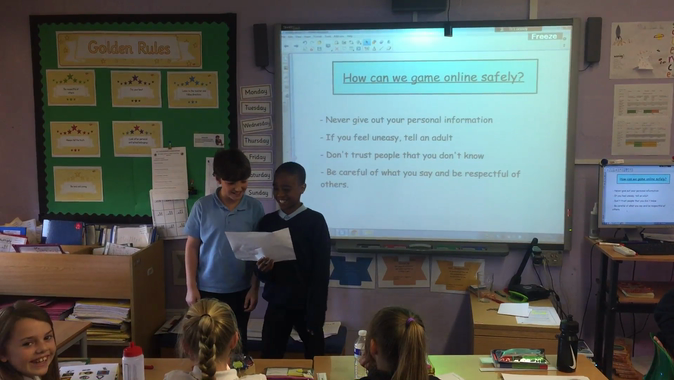 Children have learnt how to say what subject they like, don't like, live and hate using actions. 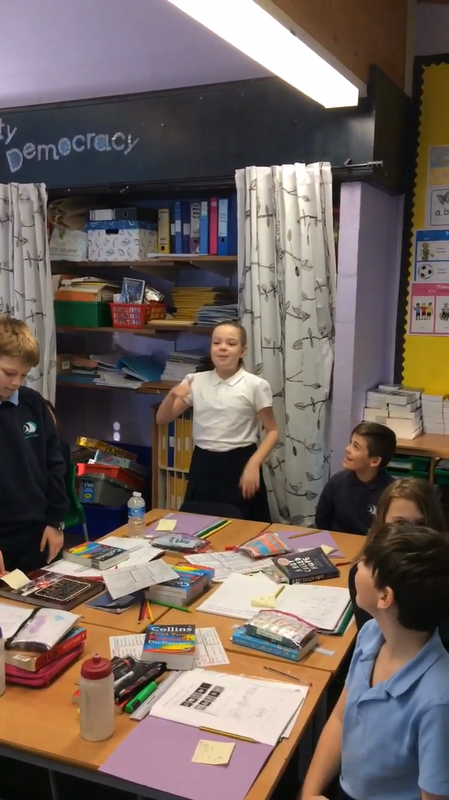 Year 5's performance poetry to be coming soon! 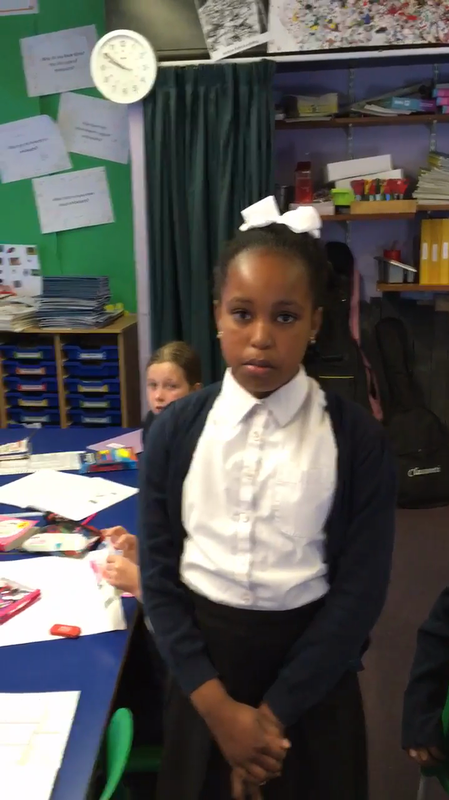 Keep an eye on our twitter page and it will go up on there! 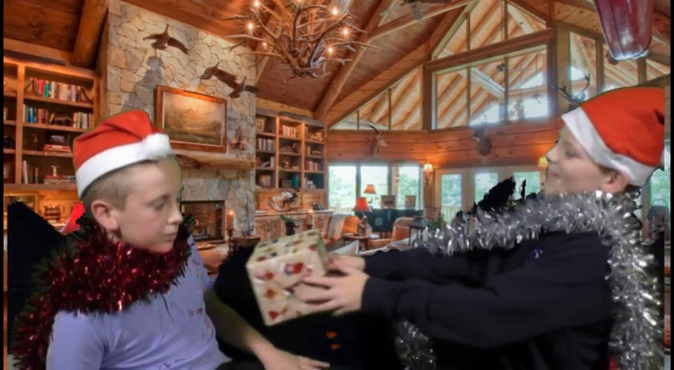 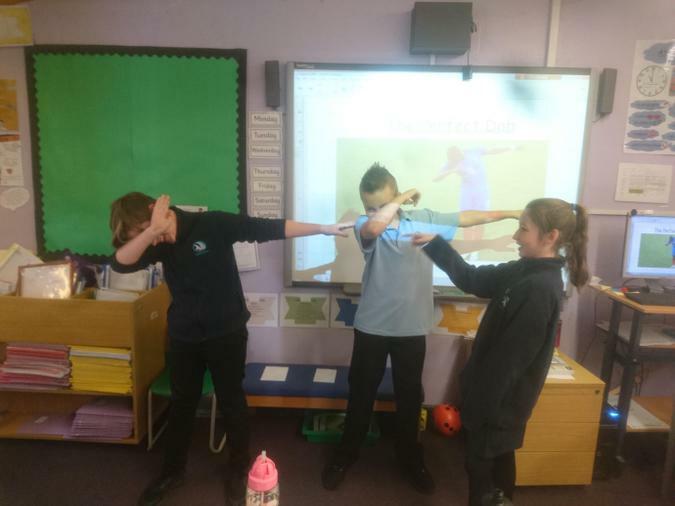 The children tried out our new technology in school: green screens! 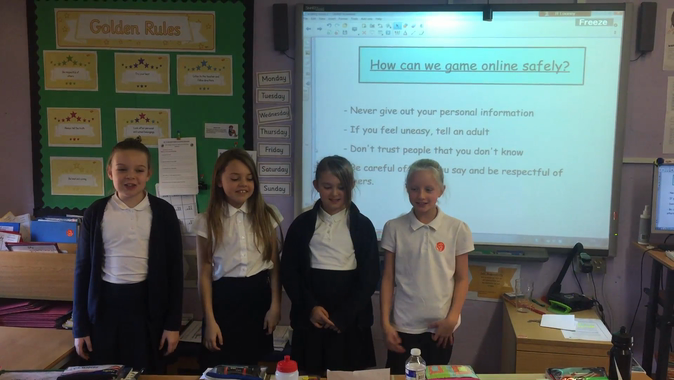 A video which shares advice on how to be safe whilst gaming online! 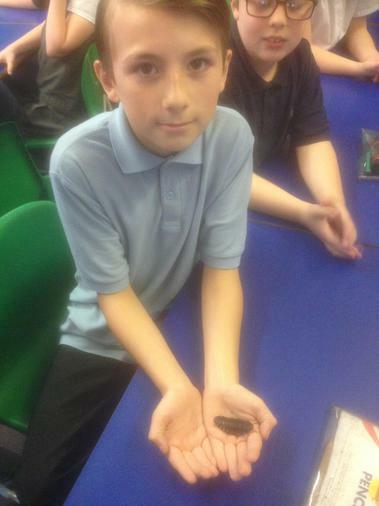 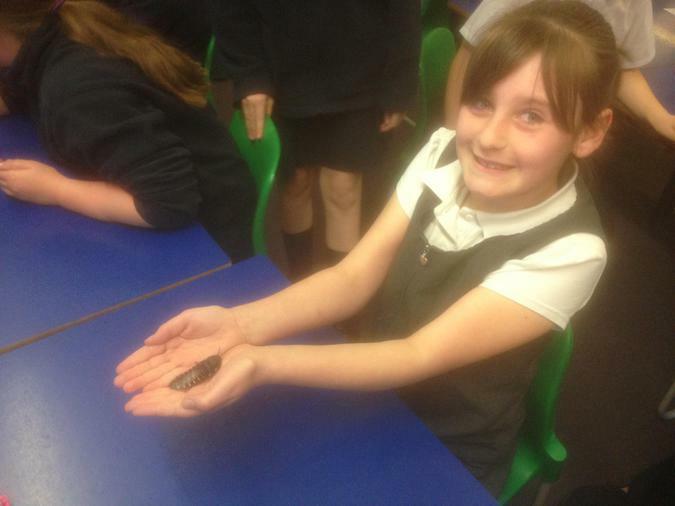 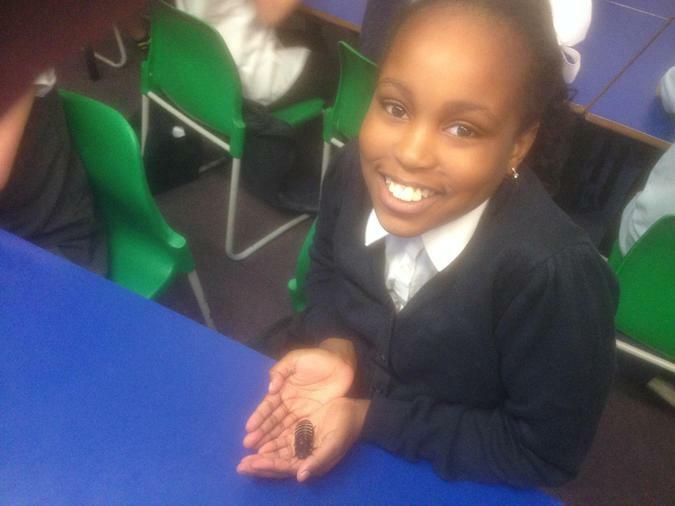 Bug Club and Rm Easimaths! 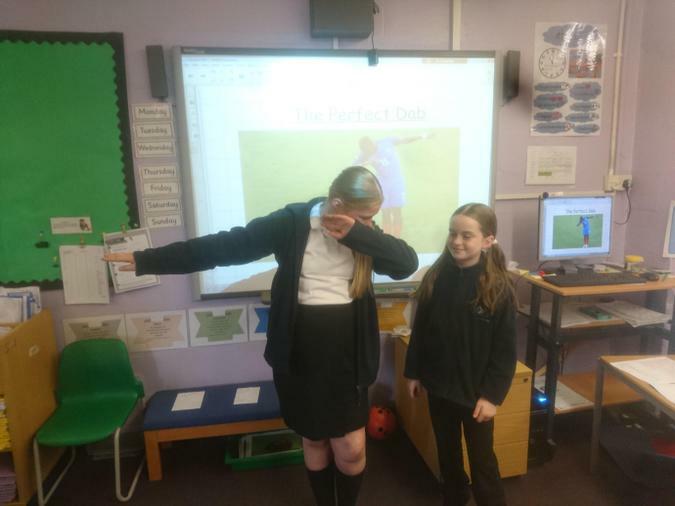 This week we are really trying hard to get the children to become fantastic e-learners by using two of our online resources: Bug Club and Rm Easimaths. 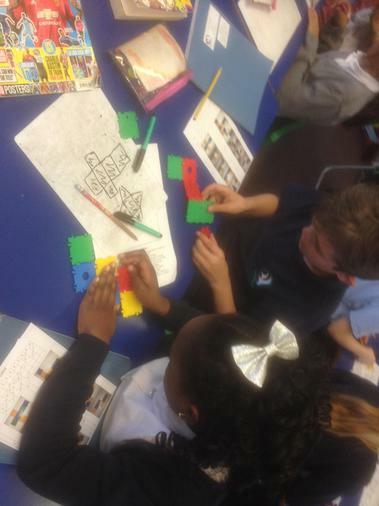 All children's levels have been updated on Rm Easimaths allowing new content to be unlocked. 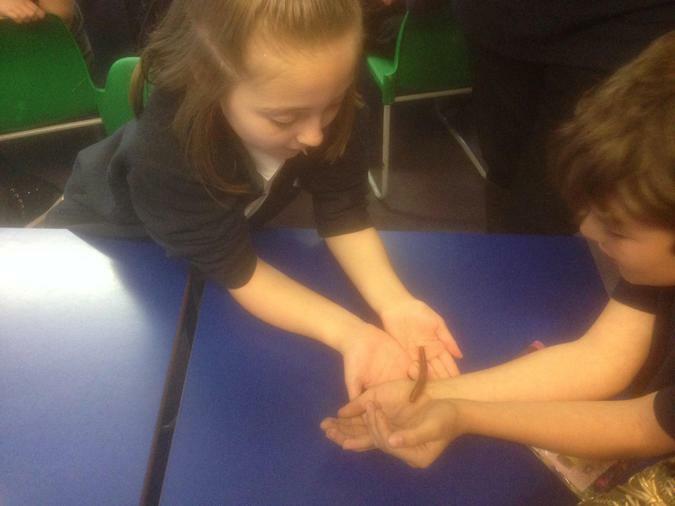 We've also updated the children's allocations for Bug Club which allows them to access the new resources. 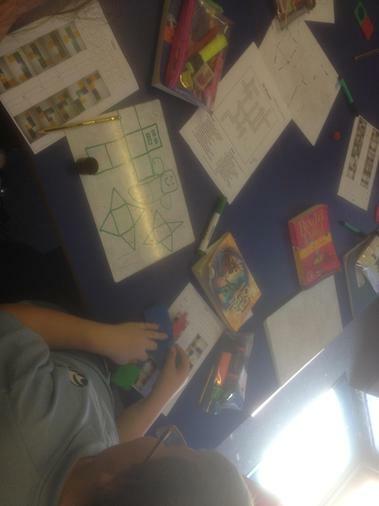 The children's homework this week is to make sure they've completed a Bug Club book and to complete 2 Rm Easimaths sessions. 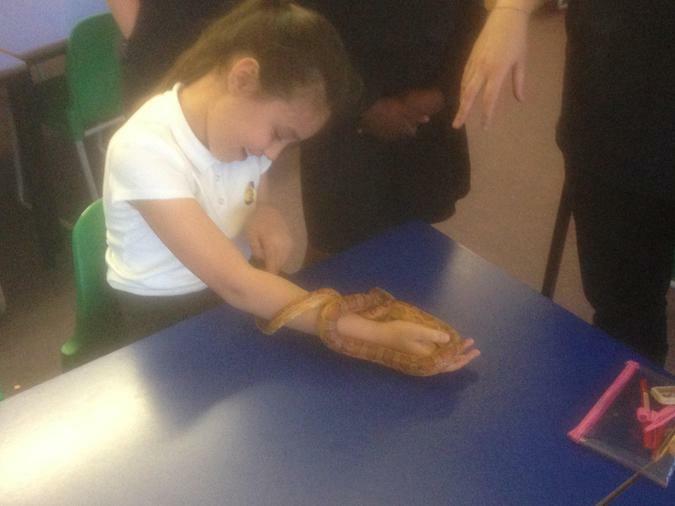 This can be done with a parent at home! 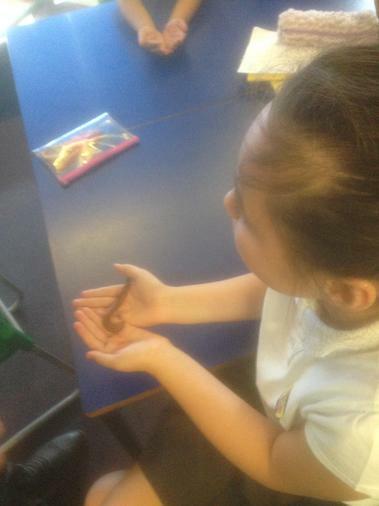 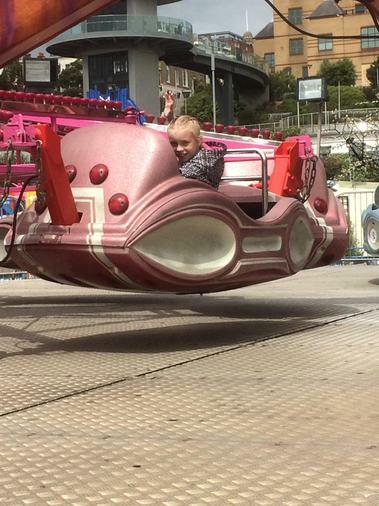 We look forward to seeing your child's progress! 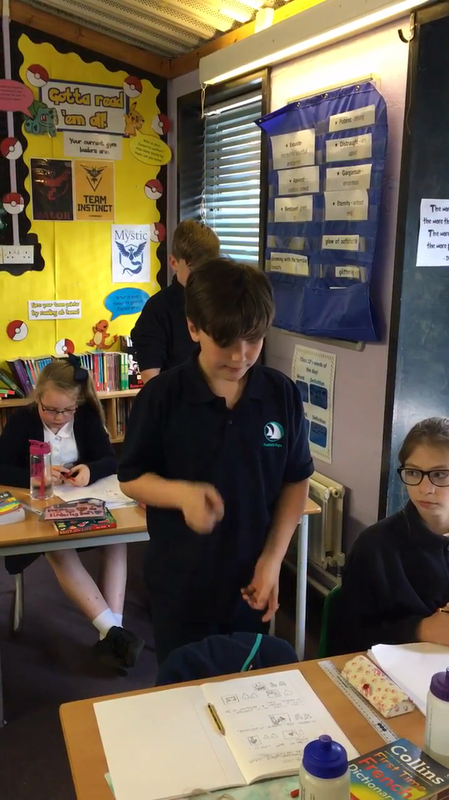 English - writing instructions: How to make playdough! 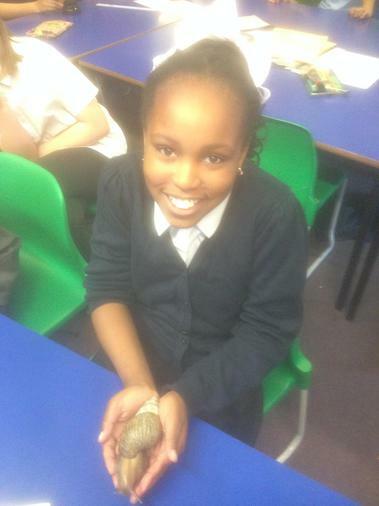 One team's successful attempt at saving their egg! 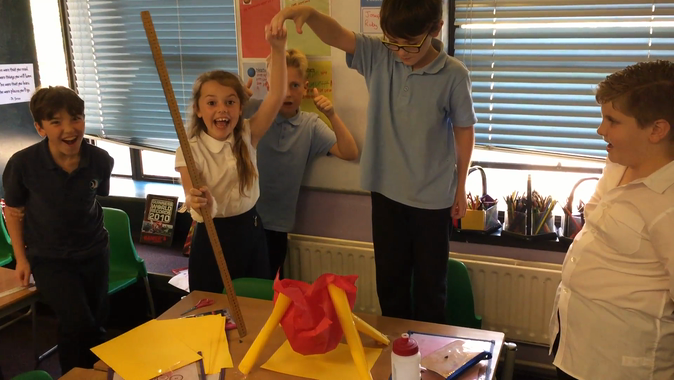 PSHE Teamwork: Marble run challenge! 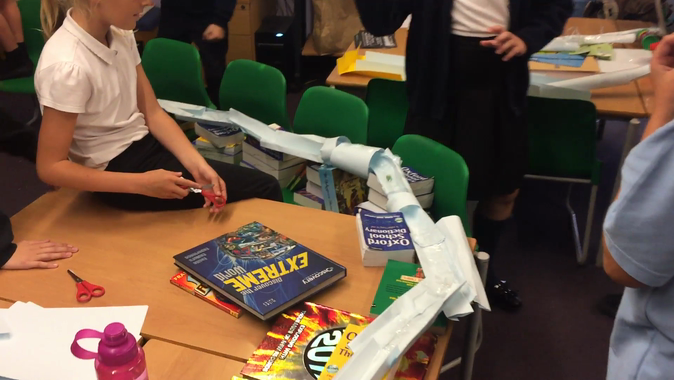 One of our team's attempts at their marble run! 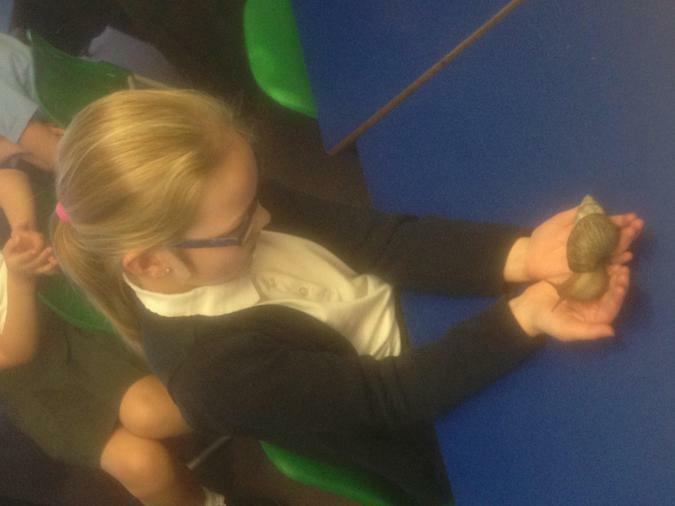 Mad Science Day - Experiment 2: Forces investigation! 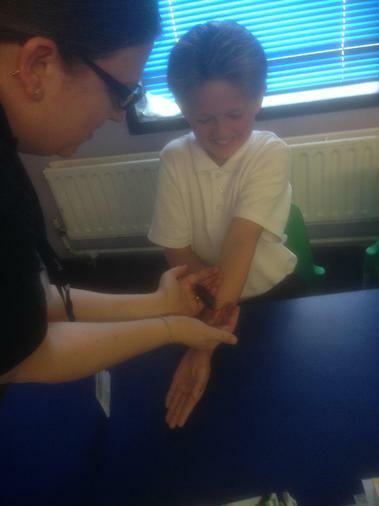 Mad Science Day - Experiment 1: Lava Lamps! 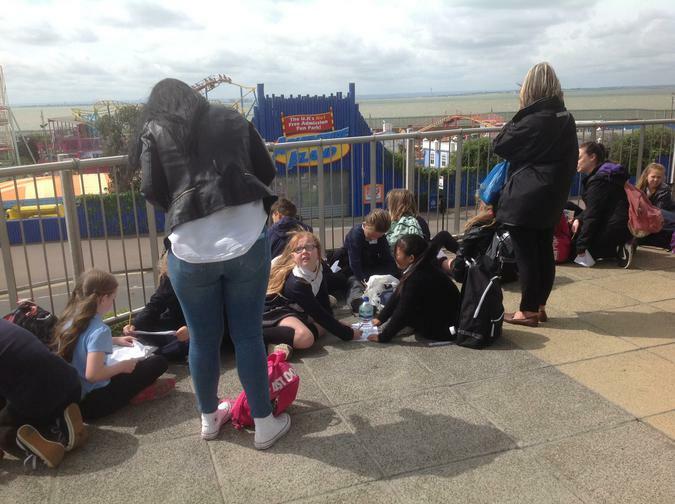 PSHE Team-building - Paper Tower Challenge! 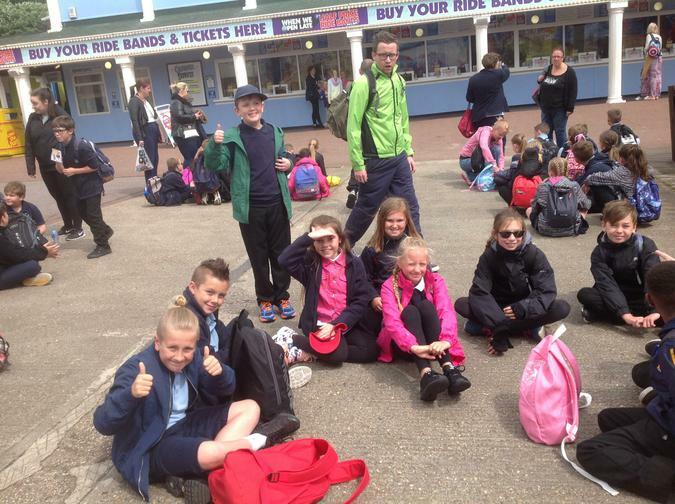 Year 5 well on their way to becoming rockstars!